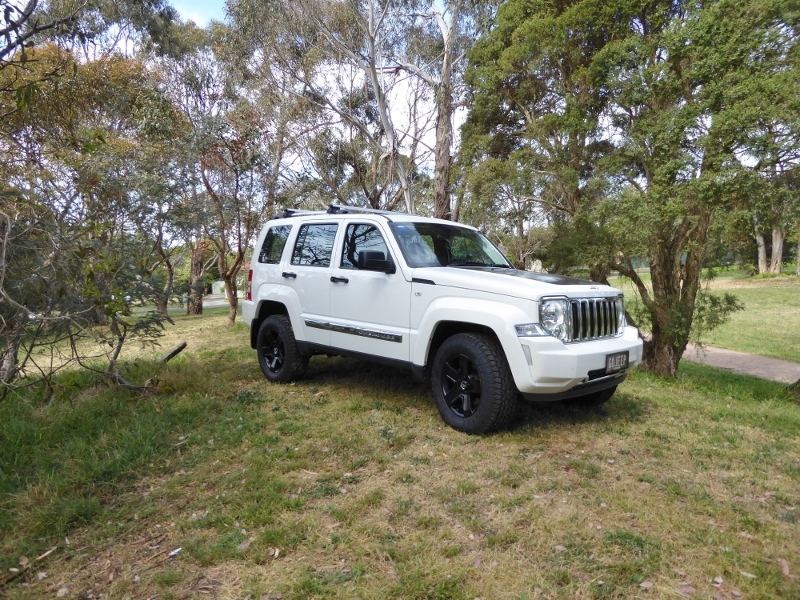 LOST JEEPS • View topic - Gojeep's KK mods. 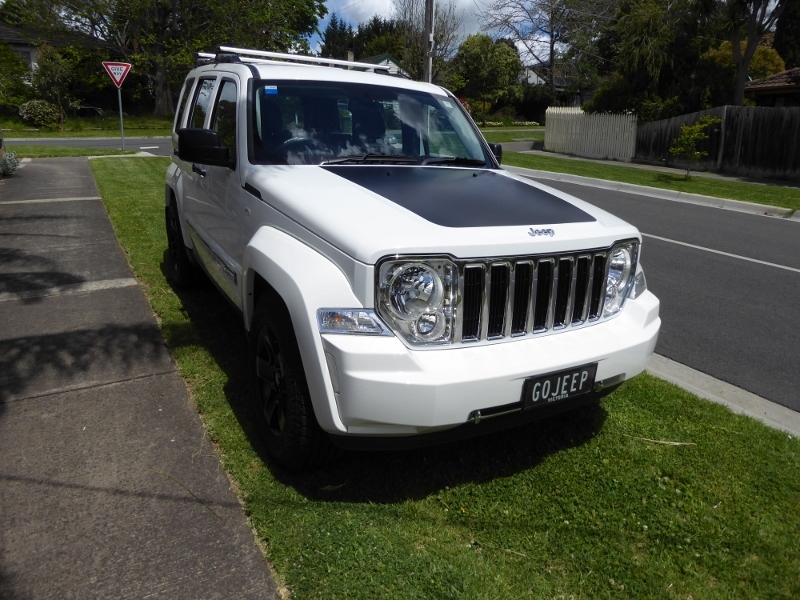 Post subject: Re: Gojeep's KK mods. All ordered so will let you know how it goes. 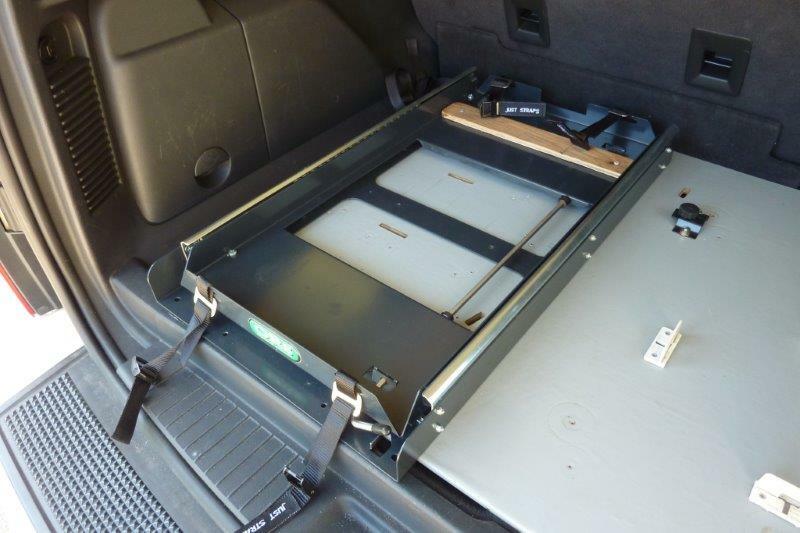 I noticed there were more requests from European owners too that needed less than the 2" standard lift as well. 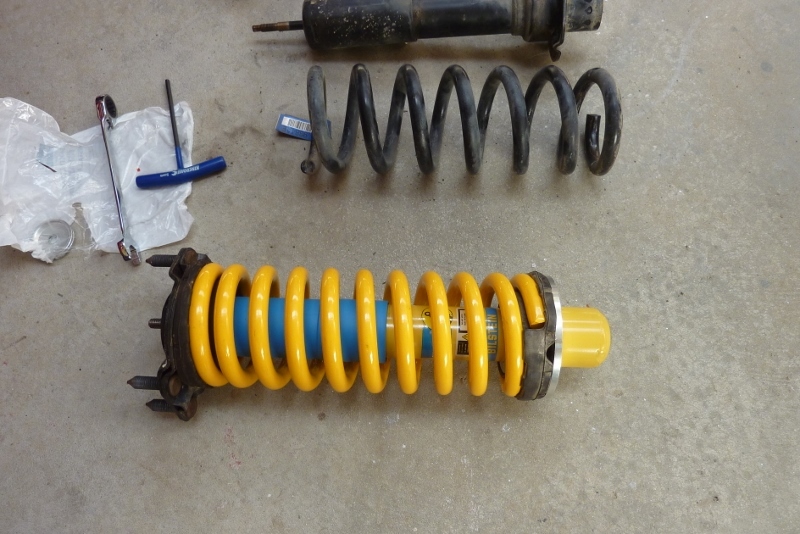 You should be able to get similar height or 1.5" using all OME as well with the 2925 coils and 900009 shocks front, 2947 rear coils with 60069 shocks. To try where there is little hope, is to risk failure. Not to try at all, is to guarantee it! Coils have arrived but noticed there is a difference in the rear lower coil dimensions that the KK is wound tighter than the KJ version. Not sure how TJM fitted them then as they carried the same part number so thought it was possible. Upper mount look to be the same as best I can measure with it still in place. 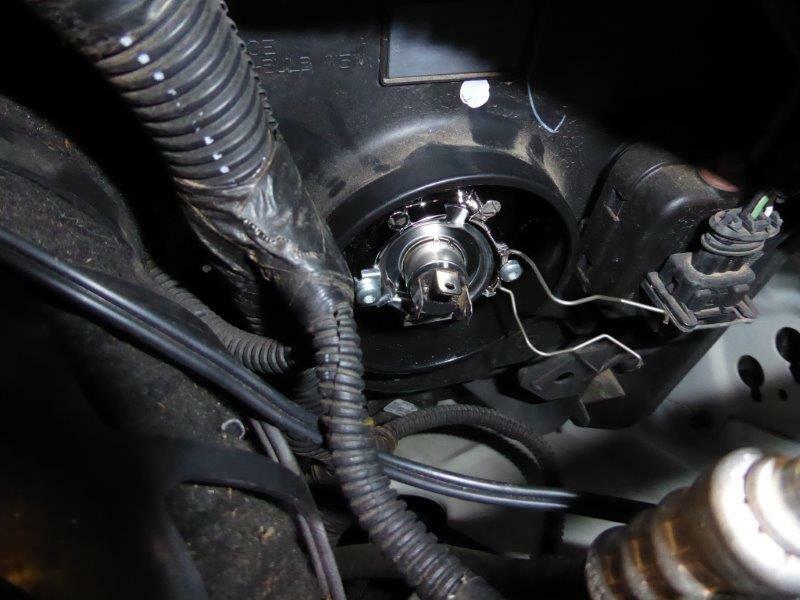 Has anyone ever tried fitting the KJ rear coils using the KJ lower spring isolator? 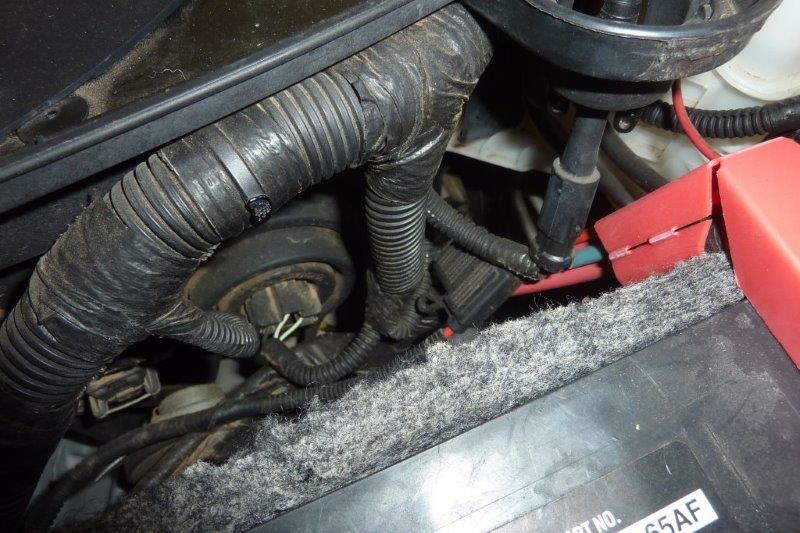 The coil pad itself looks to be the same but without having a KJ isolator to measure, can't be sure. 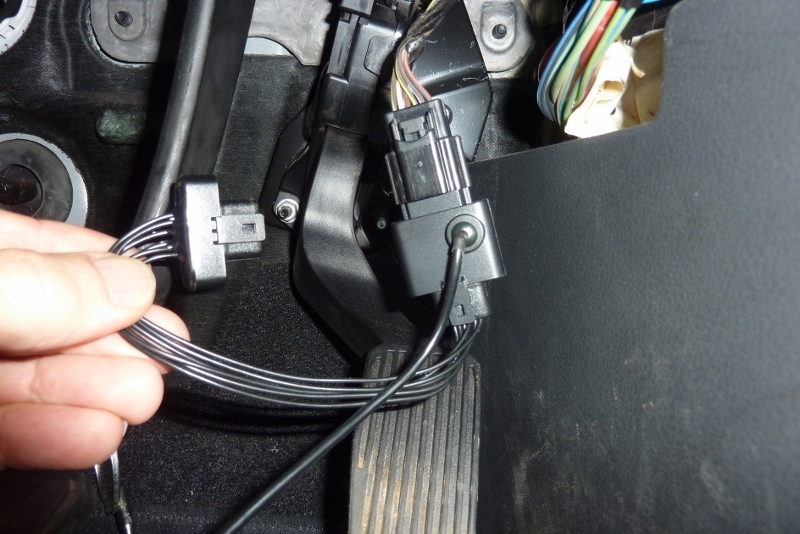 Typical of drive by wire systems there was terrible lag in the first part of the throttle travel. So I bought this Wind booster C8 throttle controller by Cammus. #EYC124A. Its only the size of a matchbox. 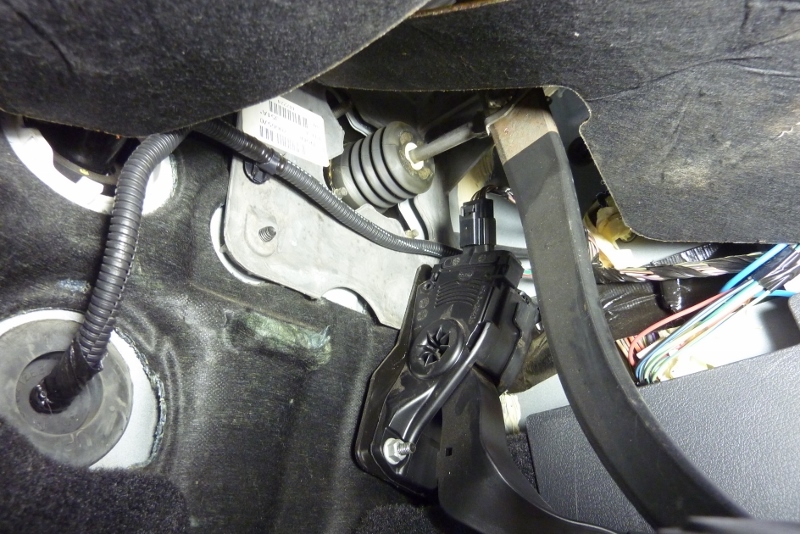 To install it you only need to unplug the harness from the top of the throttle pedal assembly. Press the tab on the plug to release it. 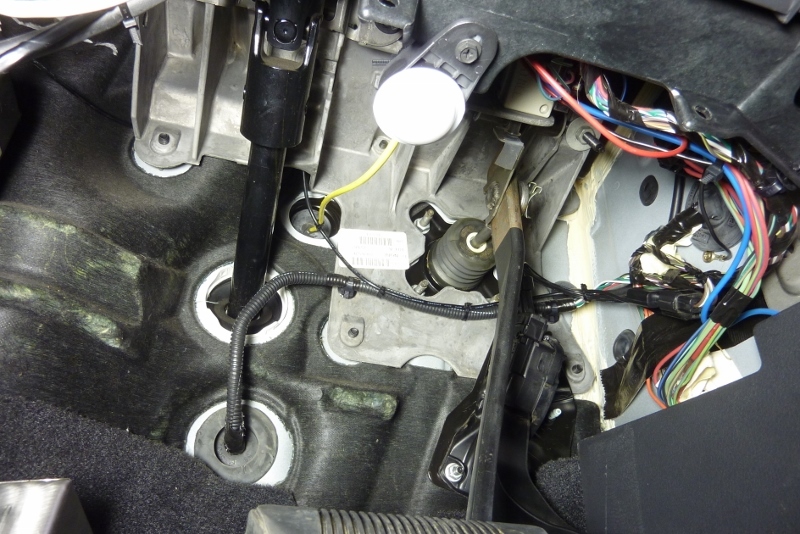 Then take the original plug and fit it to the throttle controller harness. The other end just goes where you took the original plug out of the throttle assembly. 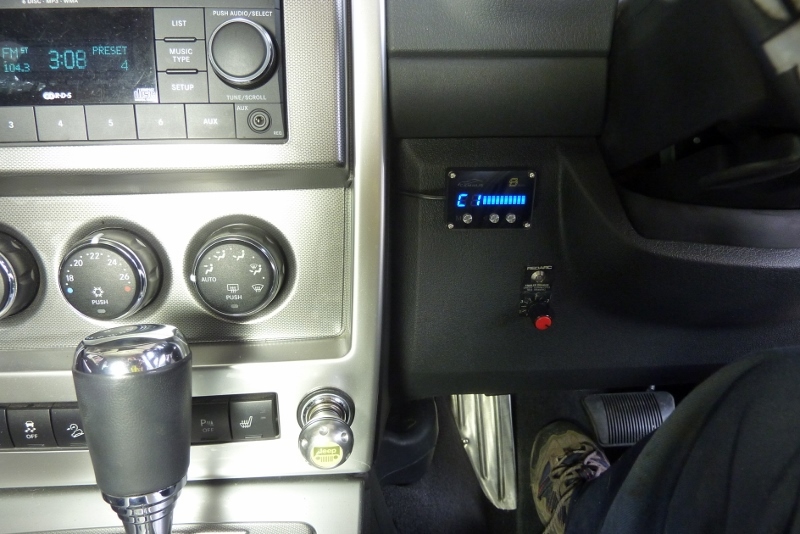 I mounted it between the steering column and the centre part of the dash, (RHD). The wire I just pushed in between the two panels. Can see the wire come out on the far left and then run in behind the alloy column mount. 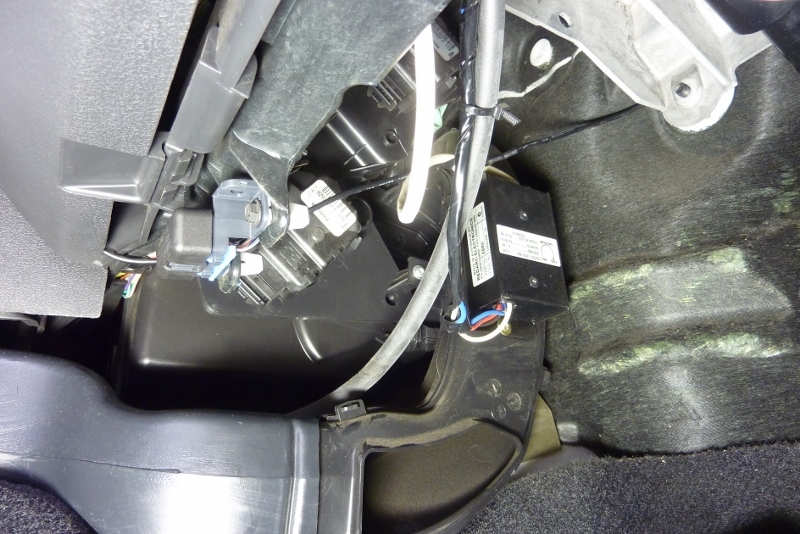 Then zip tied along the existing harness keeping away from the rotating steering shaft. The left button is the mode one where it has 4 options. Off, ECO, C1 and C2. ECO is slower than stock for low range in rocky terrain for instance. C1 and C2 are both faster. Each of these modes have 10 settings, adjust up and down via the two right buttons, to give 30 variations of throttle response. I found C1 level 5 the best. It has really made it feel alive and you would have thought it has had a power boost! That dead pedal feeling is all gone. I really enjoy your sharing these mods. 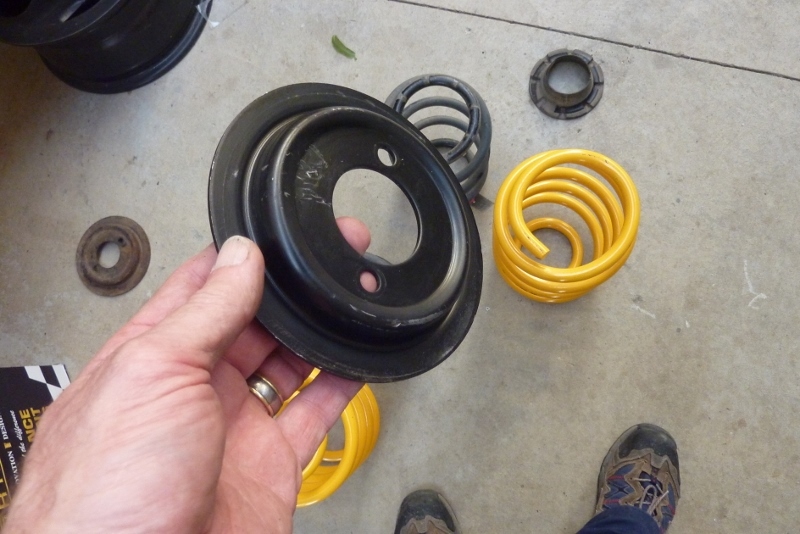 Similarly to this one, I've observed that with the same transfer of isolators, the rear springs from a WJ will fit the KJ. I have no info about spring rate, but they are about 3/4" taller side-by-side, and shouldn't be hard to change. Just haven't gotten a "round tuit" yet. 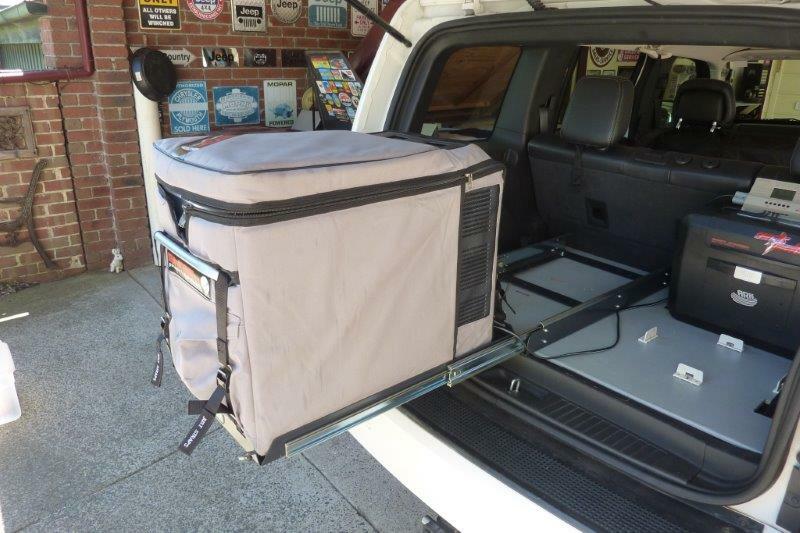 Your dog ramp is a great idea! Thanks for sharing that. Bracing and lifting an 70lb 14 yr old Vizsla-mix in and out to save his back isn't doing any good for mine. Good to know it is of interest to someone. 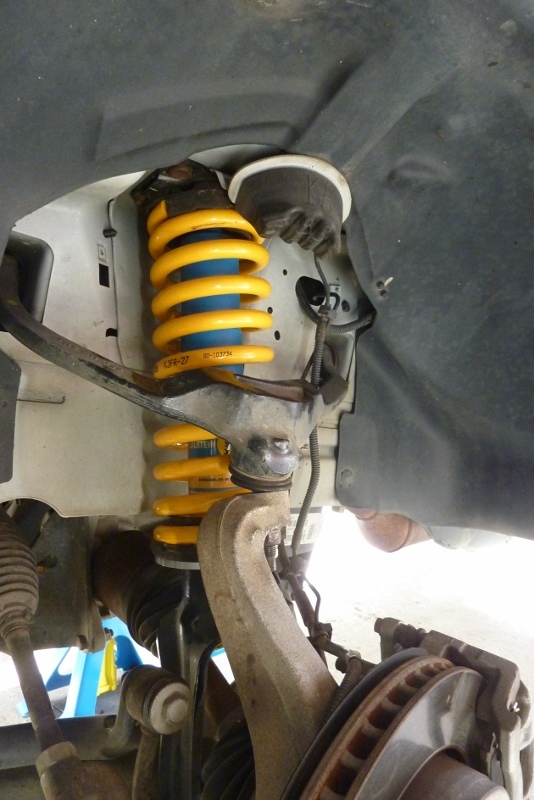 I tried the KJ rear coils today and fitted upside down with the large end on the axle they didn't interfere with anything. 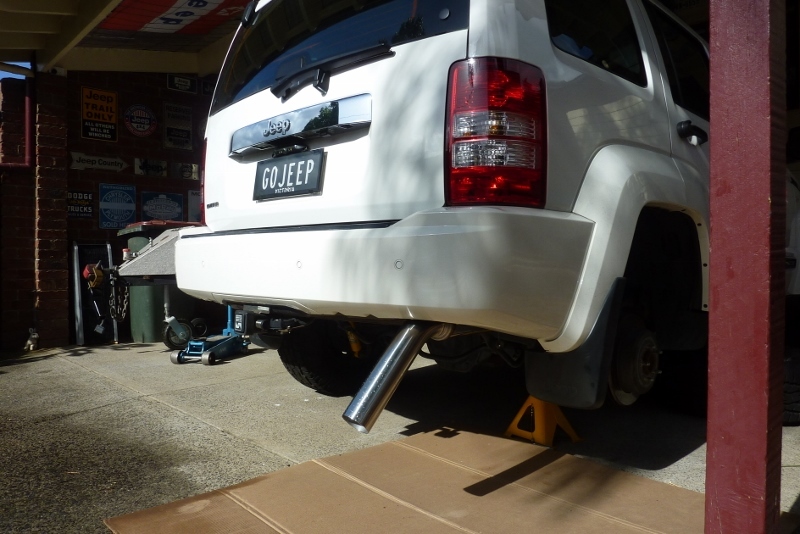 I have just started to make a drop over perch conversion from a upper strut mount for some 4wd I found on the ground at the wrecking yard. No idea what it is off though. Our American Akita weighs in at nearly 120lb and has been over 140lb. I did my back lifting him in once and ended up in hospital when he suddenly leaped off me twisting my back. Tore two discs and prolapsed another 3! So no lifting him into the car anymore. Sometimes it is the little things that can make a big difference. The factory leather heated drivers seat had lumber control as well. But for my back it was painful to sit for more than 1/2hr, even with it on the minimum setting, as pushed my lower back into too much of a curve. I found I was able to unzip the cover at the back and remove the lumber support frame that the cable pulls against when adjusting. I have since done a couple of non stop 2hr journeys without any back pain. 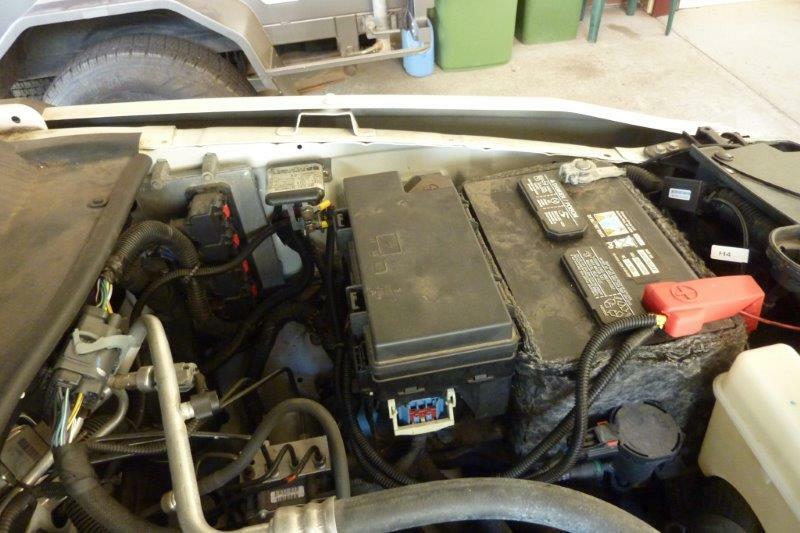 To break up the white expanse of the bonnet I had a blackout panel fitted. 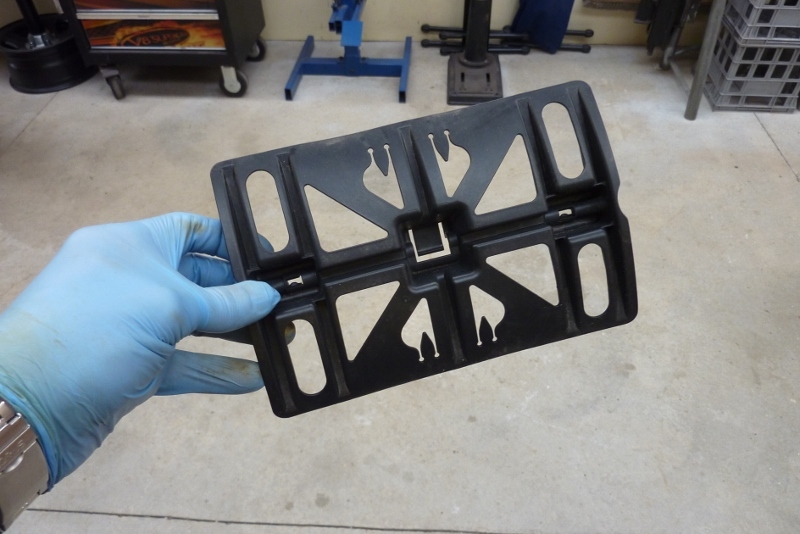 You guys had these fitted to the Arctic version and also seen on the Liberator II on one of the Mopar Underground vehicles in the 2009 Easter Jeep Safari. Never seen one on an Aussie version though so looks a bit different now from the rest. I choose satin black and the local car wrap place did it for me. Looks more masculine now I think. That does look awesome! Thanks for posting all the build photos and descriptions. Good inspiration for the rest of us! Many thanks mate. Only a very mild build but thought I would share anyway. I seen the hood panel for sale in the US on eBay too, in case anyone was looking for one. Not sure on the quality on these. 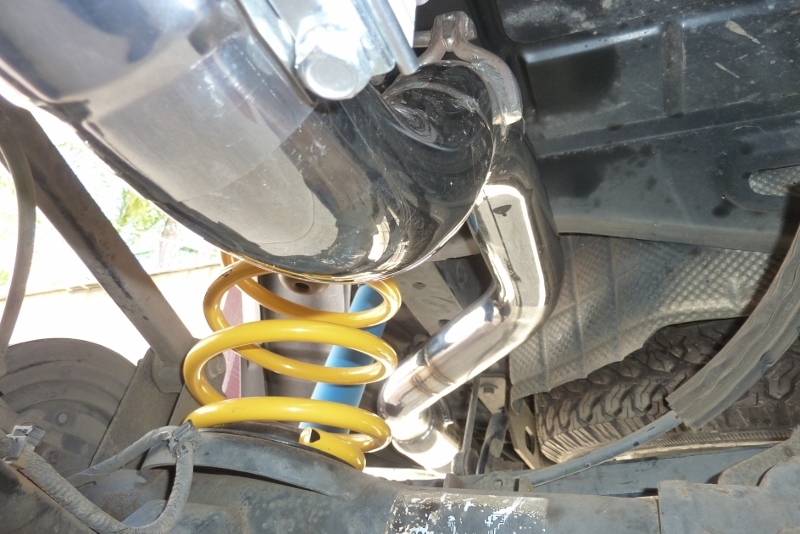 Because I wanted 1/2" less than the 2-2.5" suspension you could buy for my model to keep it 100% legal in my state, I specified coils all around for the earlier KJ which was around 200kg/440lb lighter. The extra weight of the KK should drop the height by around 1/2". 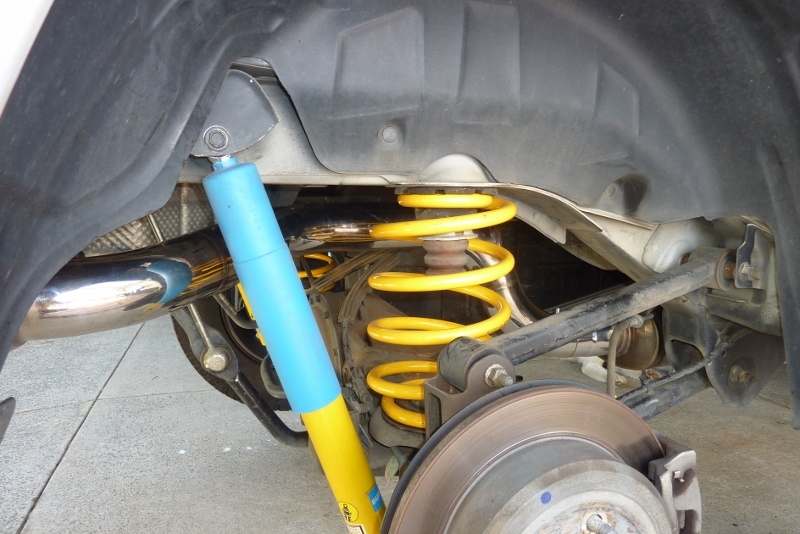 One main difference though is that the rear springs are different. Can see how much bigger the top of the KJ yellow coil is. 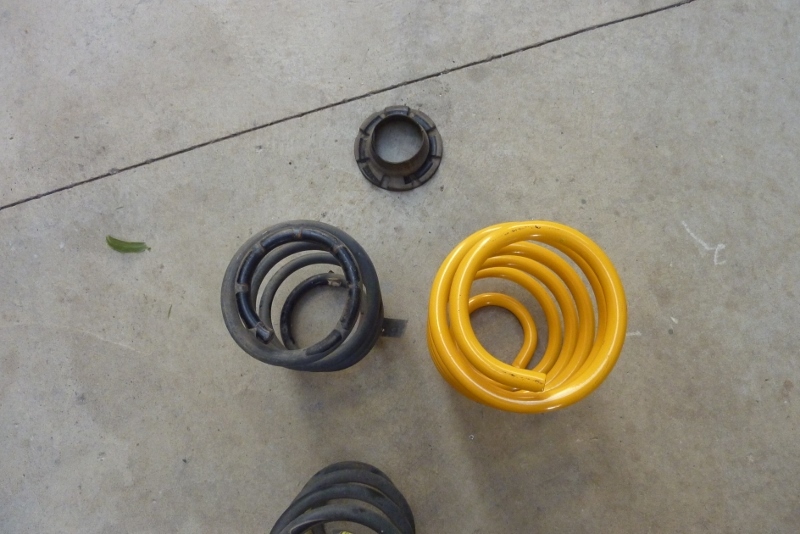 I hunted around the wrecking yard and found these top strut, or coil, mounts in the dirt. Found three of them spread around the 4wd section but none belonged to the vehicles where they were. 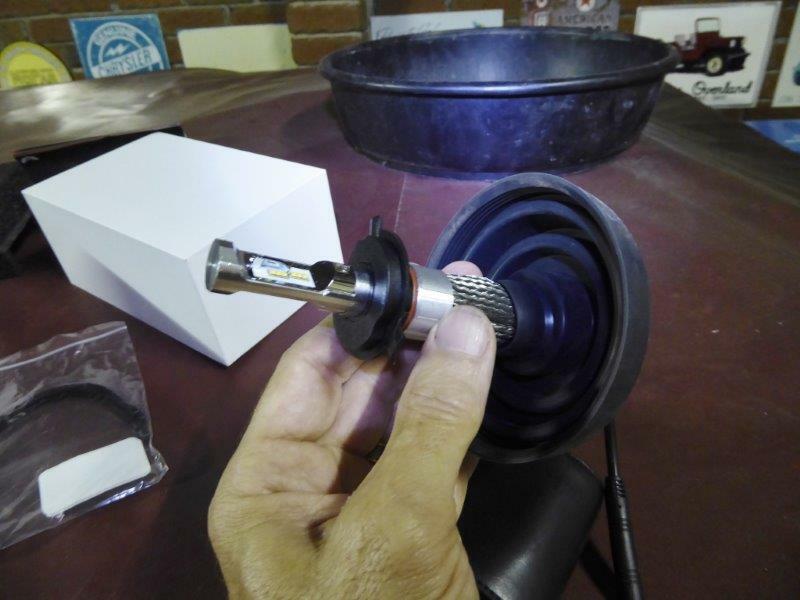 This fitted the coil perfectly. 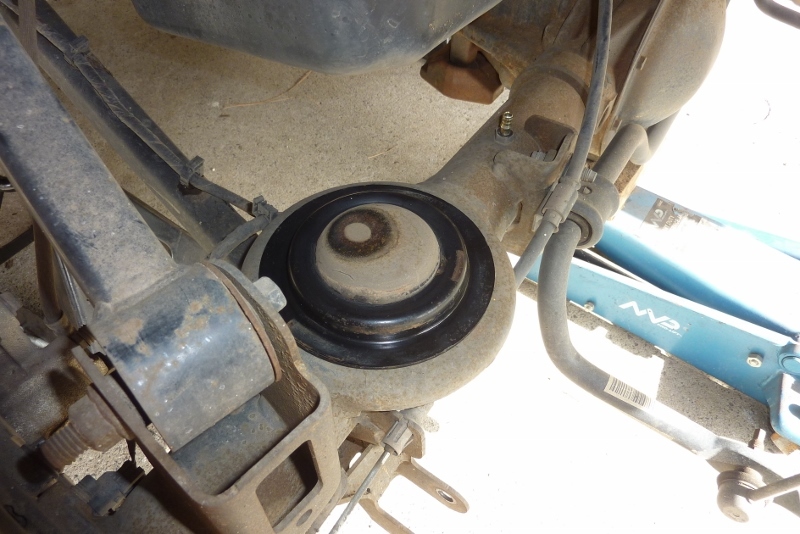 It was easier the turn the coil upside down and fit the larger end of the coil to the axle perch. The centre hole was too small to fit over the bump strike pad though. 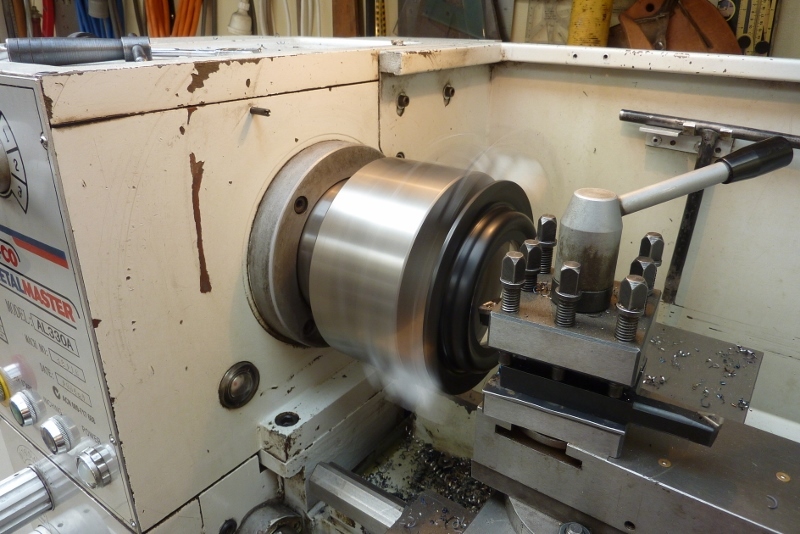 Good excuse to use the new lathe and hog out the centre. Can also cut it out with a jigsaw if needed. Dropped over perfectly. Fully reversible too as will just sit there under spring pressure the same as the isolator was. 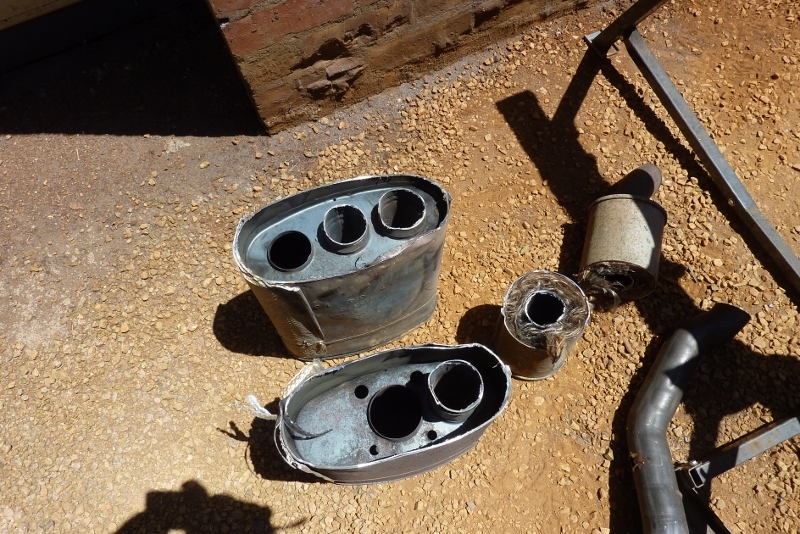 The original bottom end of the coil fitted the upper mount perfectly. 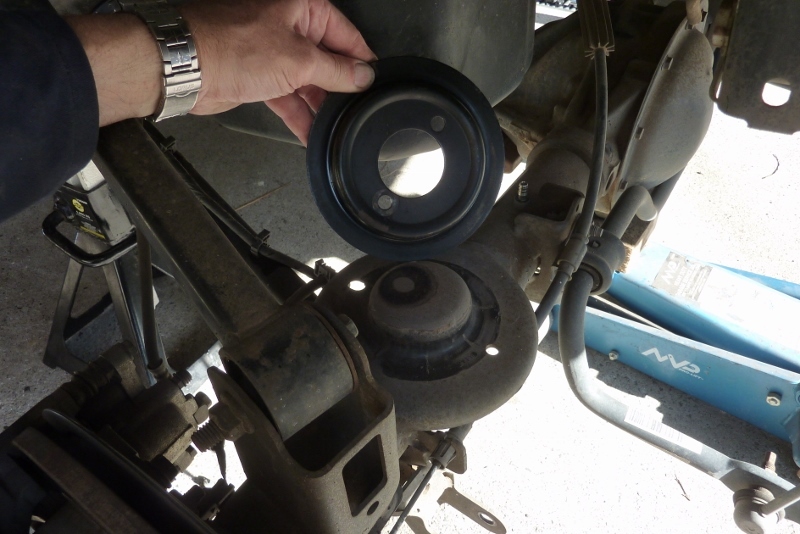 The flange just needed a slight bend depending on how the coil was positioned at the top. 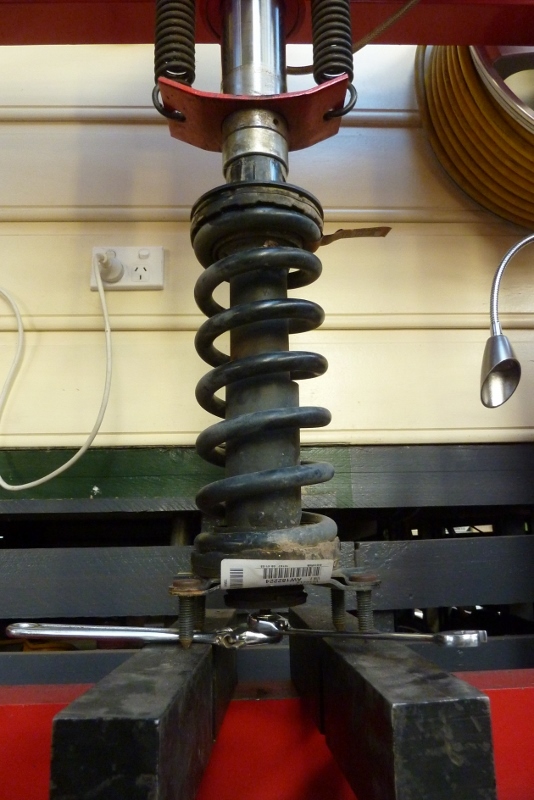 Coils are made by King Springs who make it for OME and many others as well. 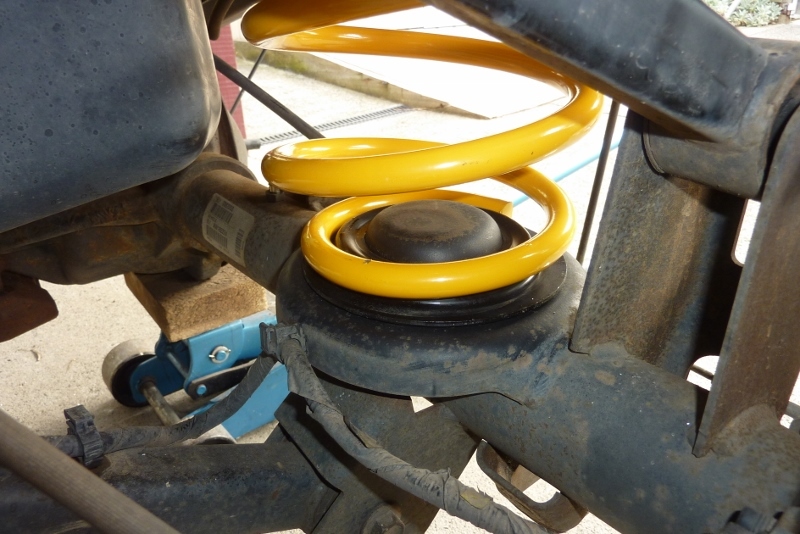 Rear springs are KJRR-28. 210 lb-in rate similar to OME (2)948, but with a 3/4" lower free height. 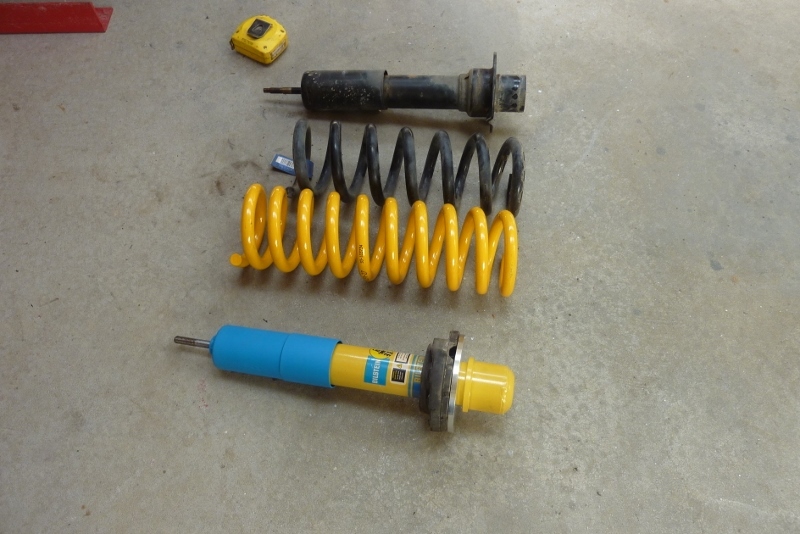 I got a full set of Bilstein shock absorbers from Summit Racing in the USA sent over. The rears are BSN-24-139175 4600 series. The lengths as the stock so no need to reduce uptravel to fit them. 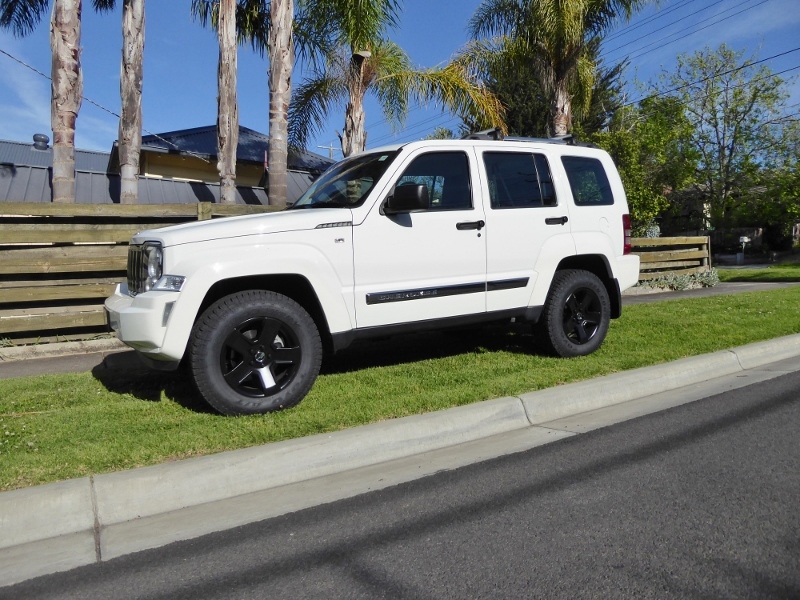 I had no clearance problems with the 245/70R17 tyres on 17x8" wheels with +35 offset. 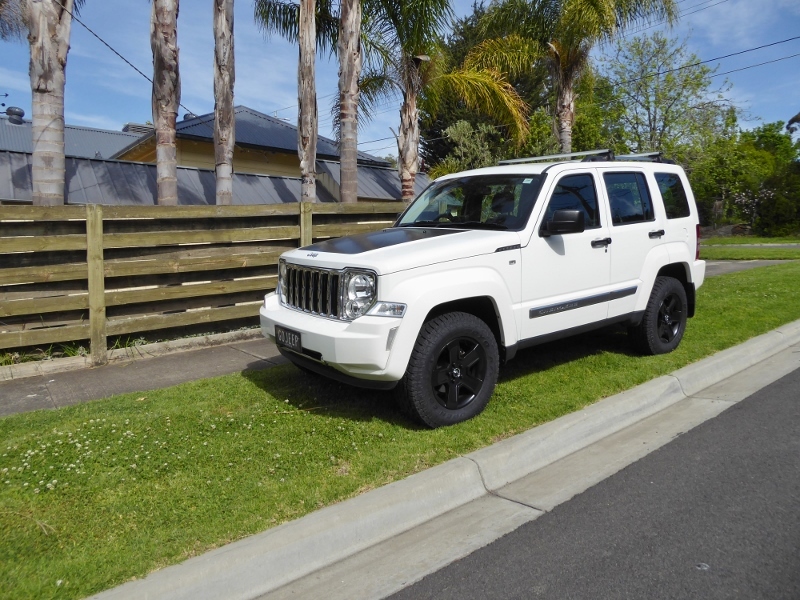 The near stock offset helps a lot in the front especially to stop any rubbing. Even colour co-ordinates! I added extra isolators that were originally on the bottom perch to the top of the left side as the fuel tank weight pulls this side down. Came out exactly even. Always hated the danger with screw type spring compressors so thought I might as well use my shop press instead. So very easy and fast to do this way, and much safer. Shifter to hold the shaft while using a ratchet ring spanner to take off the nut. Old versus new. 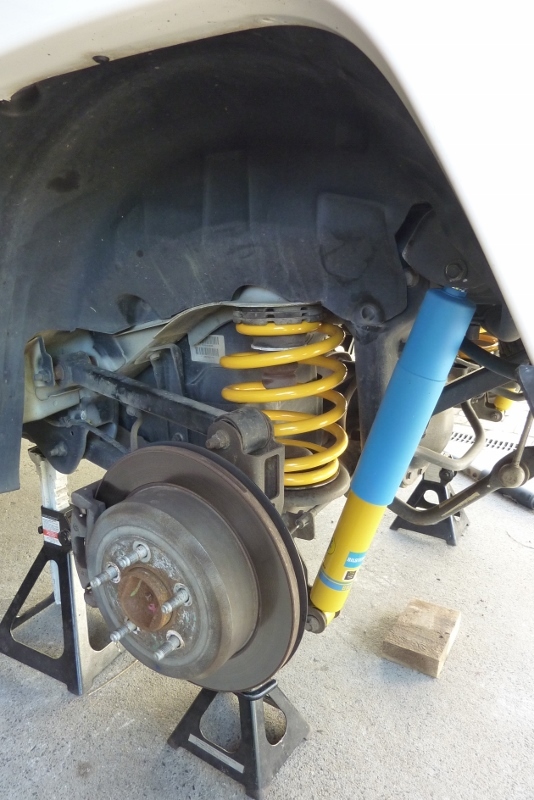 Bilstein BSN-24-139168 4600 series mono tubes with KJRF-27 King Springs. 400lb-in rate similar to (2)927 OME with 3/4" lower free height. Reassembly was done the same way. Already to go back in. No clearance problems at all and no need to change upper A arm like higher lifts. 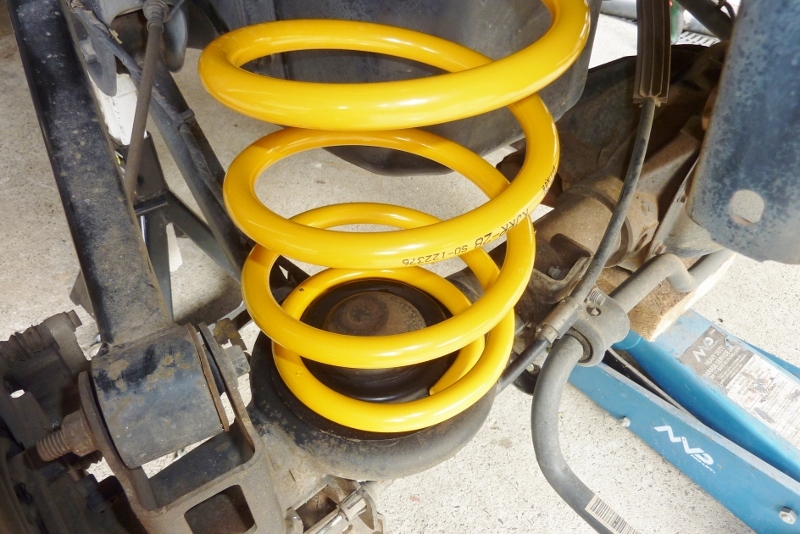 To break in the new springs I was finding plenty of humps to flex the suspension and going over 'traffic calming' mounds etc at a faster than normal rate to bed everything in. Think it still fills out the guard nicely. The higher you go the smaller the tyres look! So ending up at 50mm/2" higher all round than I started. 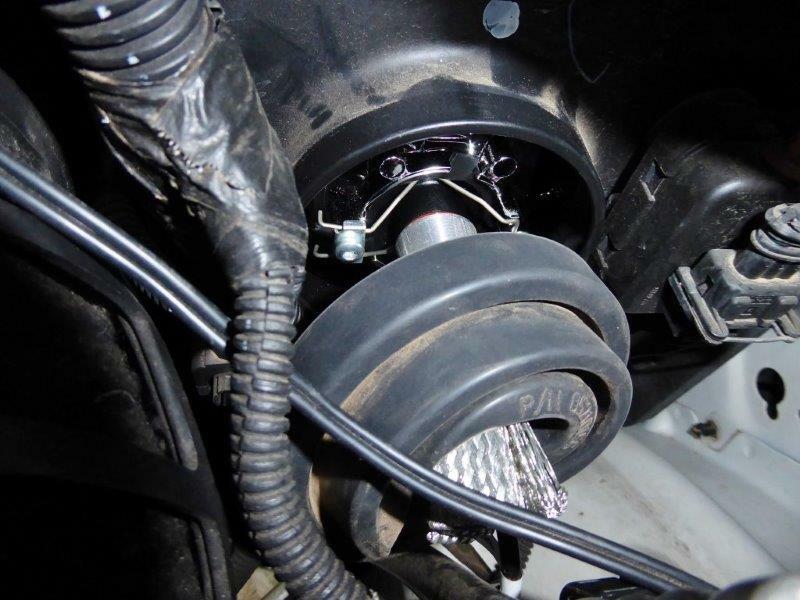 Depending on where you read, that is 1.5" over stock or 2" in the suspension alignment specifications. http://www.brakeandfrontend.com/alignme ... p-liberty/ Centre of wheel to underside of the flare is 500mm/19.7" front and 520mm/20.5" rear. The ride and handling I am very impressed with and far beyond what I expected, or thought possible. It is a great combination and much cheaper than going the OME route. And stock rear shocks are still OK????? 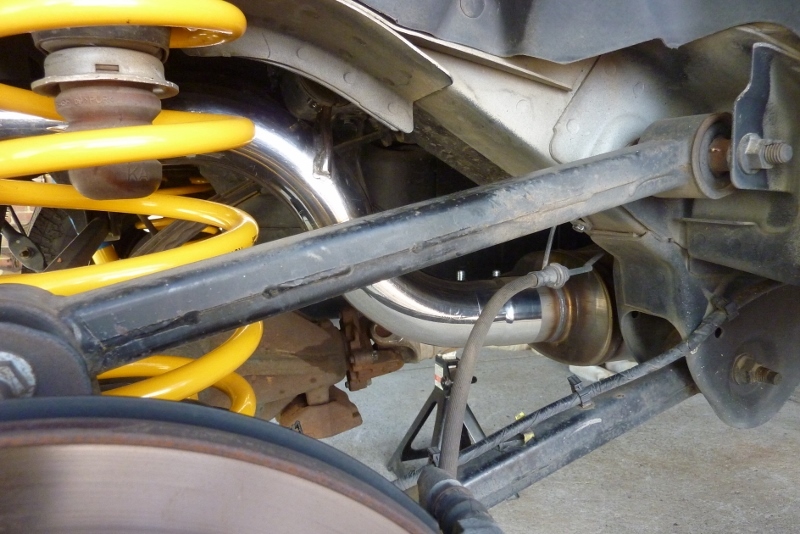 I don't have stock shocks but do in length so take it is what you are referring too. 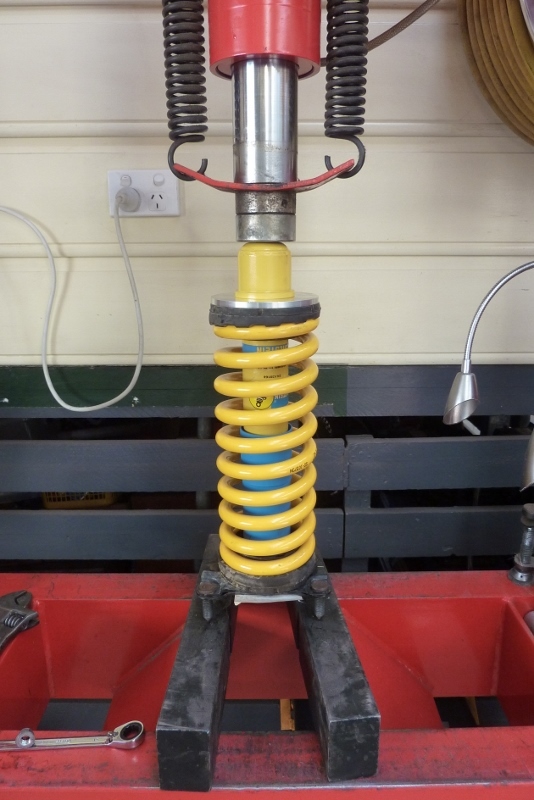 They have no problem at all as the Kings springs have a shorter uncompressed length than the OME 948's, so are not trying to pull the shocks apart when unweighted. 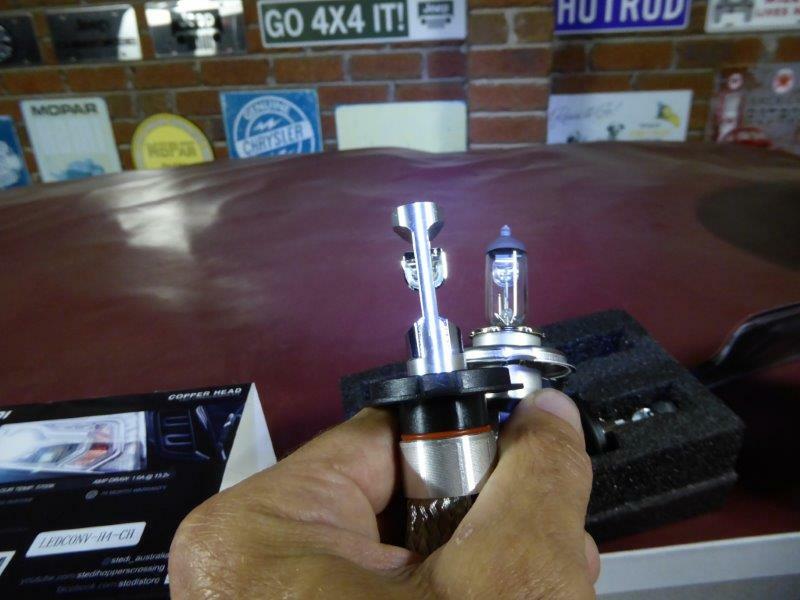 I did a lot of research into picking the right design and a polished solid billet stem with the hooded top set of LEDs to mimic the stock bulbs was best. Learnt a lot after watching this for which type of designs to look out for. https://www.youtube.com/watch?v=DeaDrH0gXZk and this one, although over a year old now. 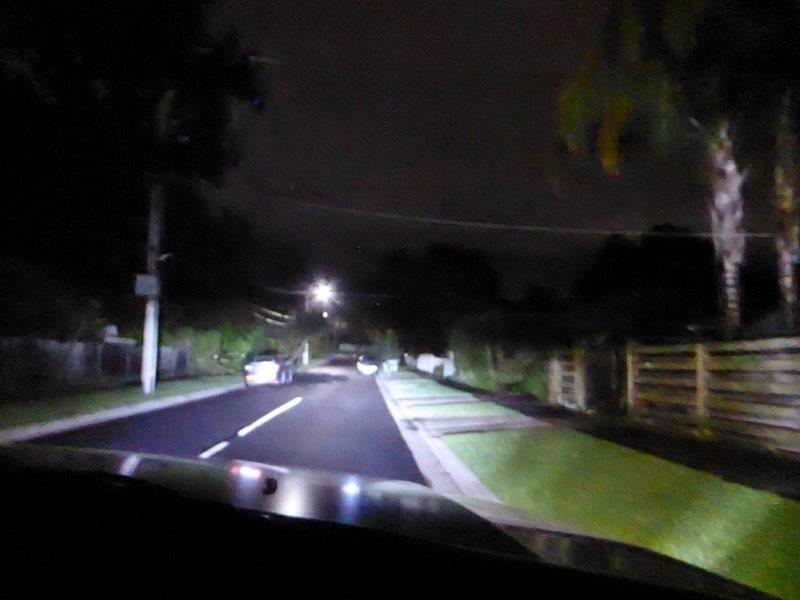 https://www.youtube.com/watch?v=SQF5ESBHLrw If you have the extra cash to spend the GTR Lighting Gen 3 Ultra seems to be the way to go and can see the similar design and LEDs used.. 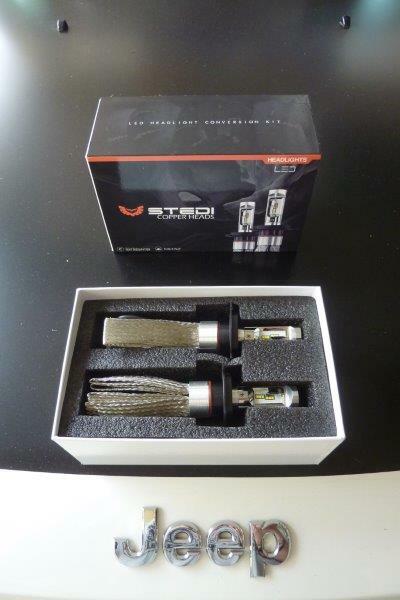 Kit comes with 2 LED bulbs and 2 drivers. 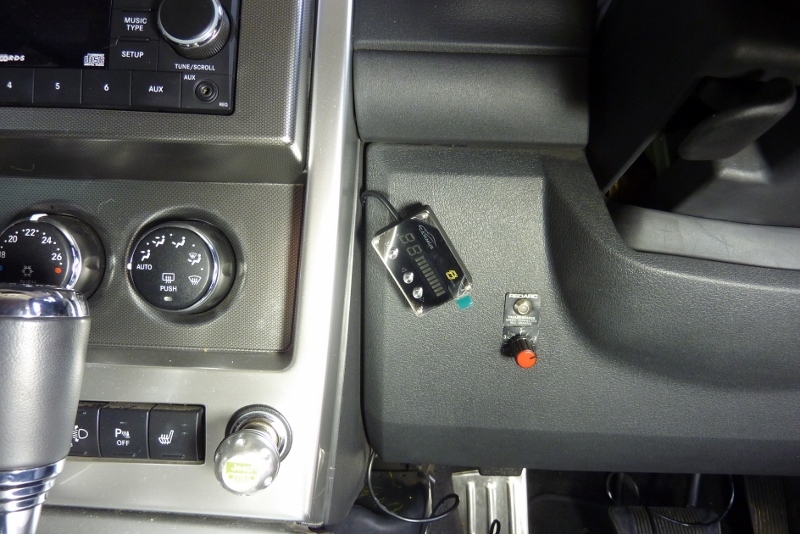 Some cars need an extra module to stop the warning light as the CANBUS detects low draw. 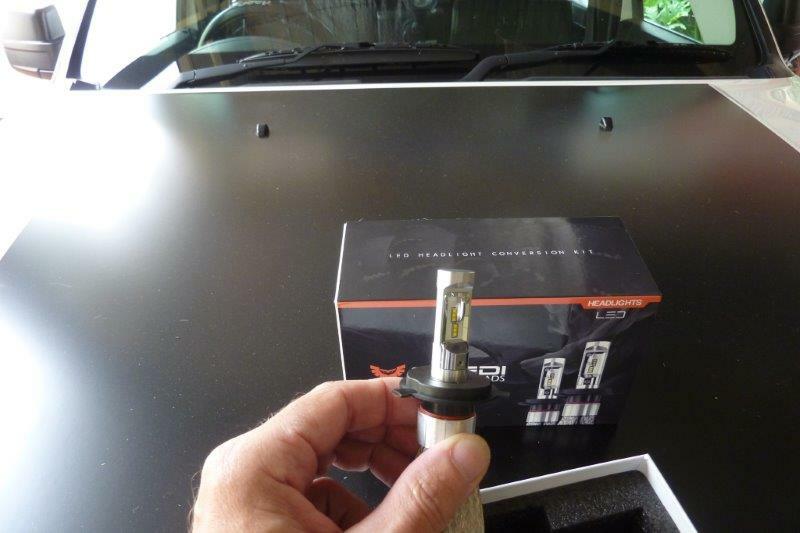 Just pull the plug off one headlight before ordering and see if a warning comes up. 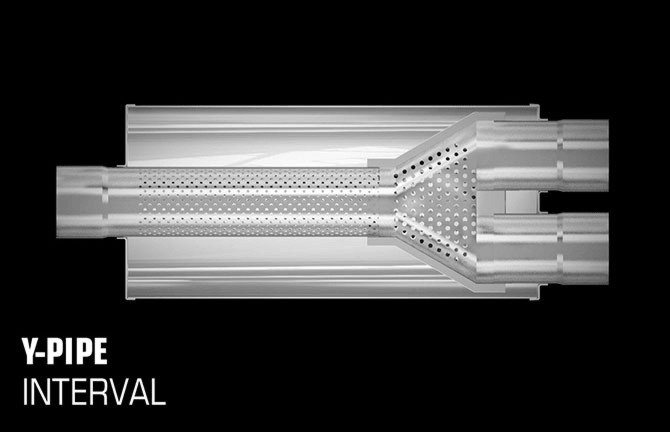 If it does a resister type module is needed to simulate a higher draw. If the LEDs flicker once installed you need a capacitor type module. 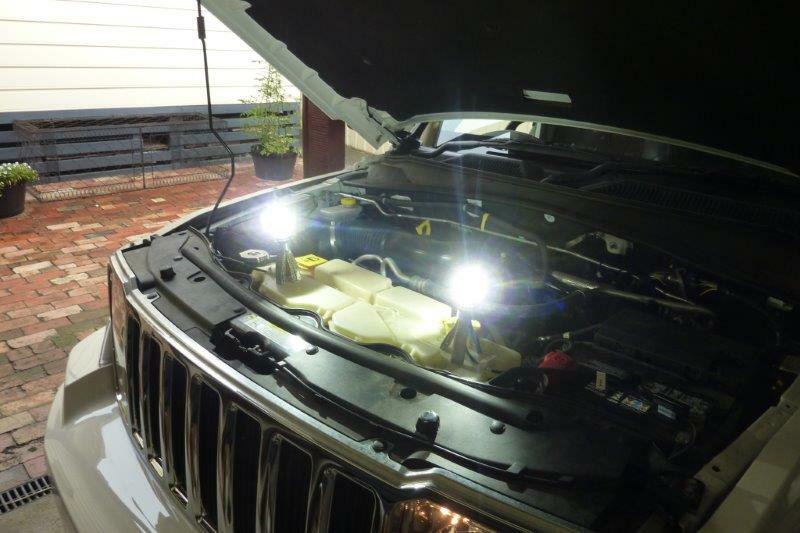 Usually only a problem if you have DRL lights that run the headlights at a lower voltage by pulsing the power to drop the voltage. I didn't need anything else for this installation. Did a quick test before installing them to make sure there was no flickering or warning light coming up. On my version with the H4 bulbs/globes, it is just a matter of pressing the tags on the sides of the plug and pulling the plug off. Then the rubber boot pulls off as well. On the US versions you have to twist a plastic cap to get to the plug. Release the two springs that hold the bulb in place from the metal clip on the left side. Bulb will now come straight out. I pushed through the wire and braided heat sinks through the boot, just part of the way to leave enough room to for the holding clips next. Put the bulb back in and the clips as well. The wire from the bulbs plug straight into one end of the driver. Make sure you match up the arrows. 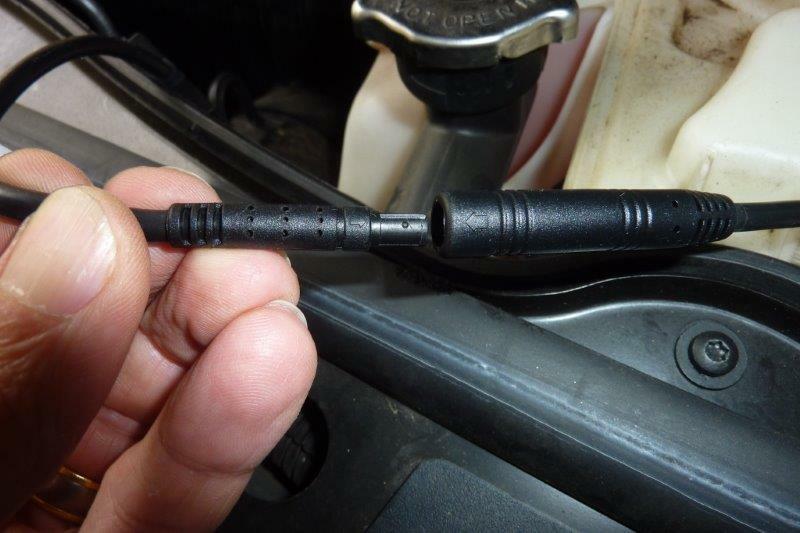 The other end of the driver cable just plugs into the Jeep's headlight plug and that is all there is to it! 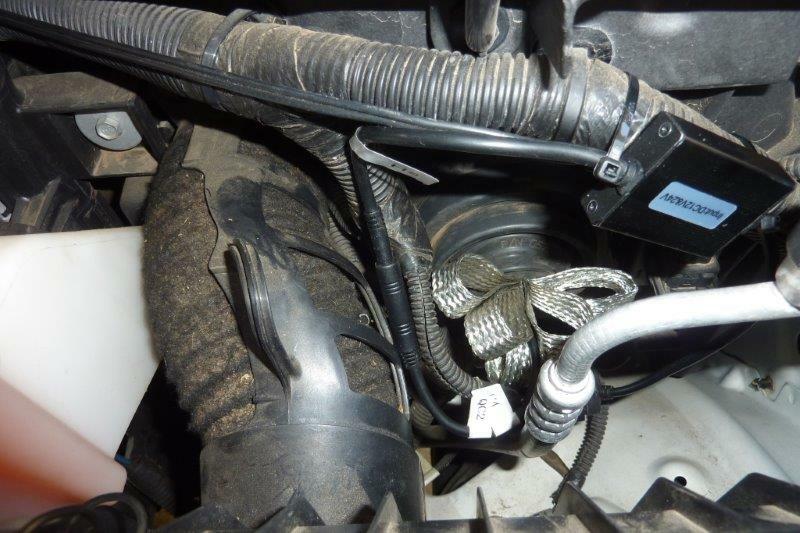 I used the provided cable ties to hold the driver in place on the harness. The braids also need to be fanned out to dissipate the heat. 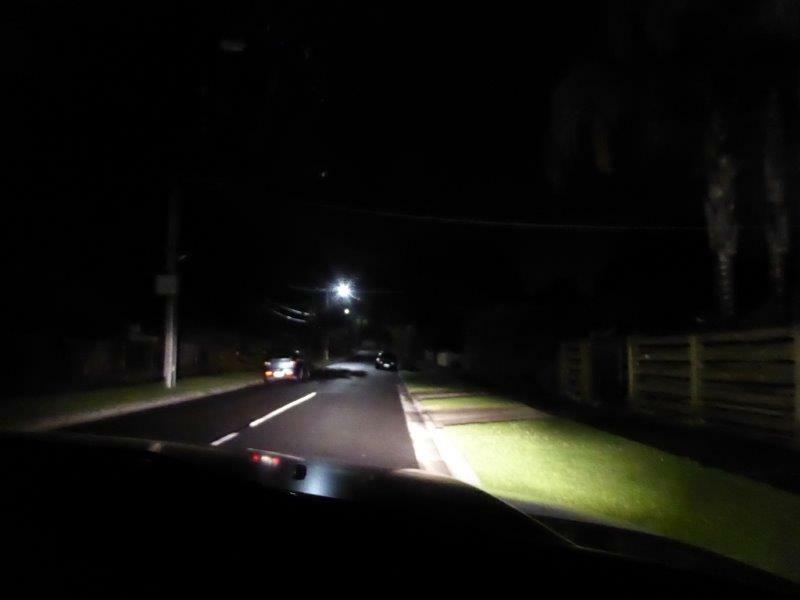 Left side halogen and right side LED, low beam. 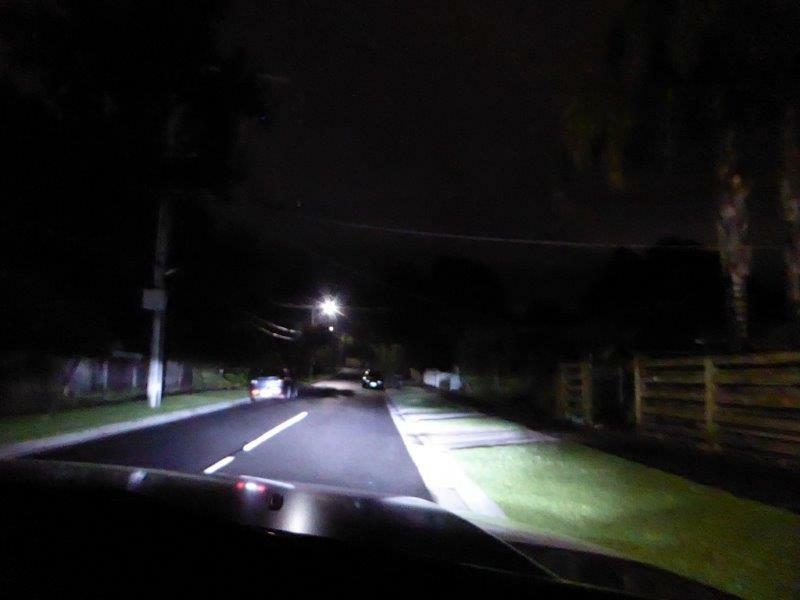 Left side halogen and right side LED, high beam. 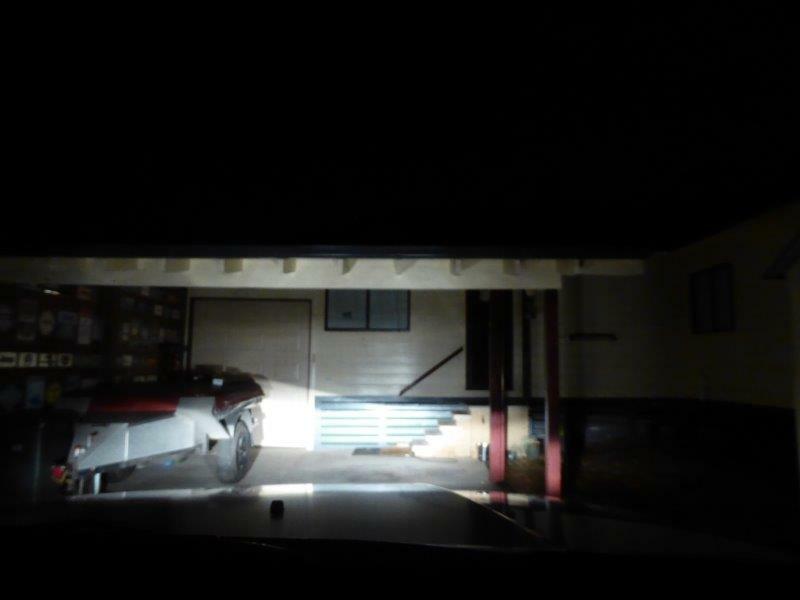 Low beam halogen from about 6 meters or 20' away. 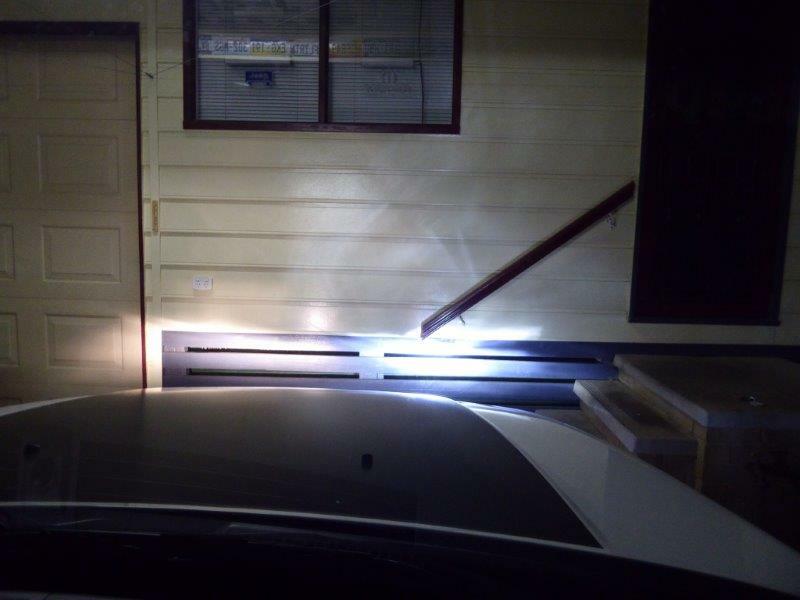 Notice the stray light stock above the base boards. Any brighter lights are only going to make that worse I'm afraid. 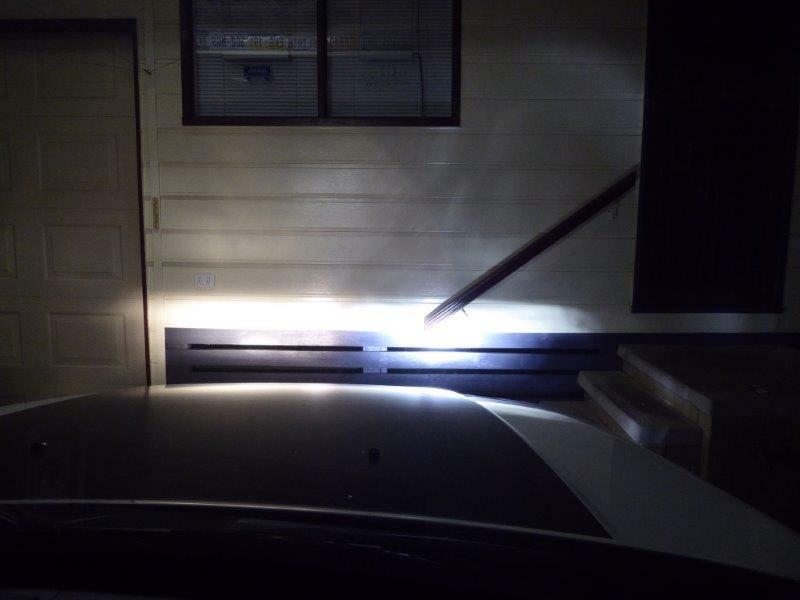 Low beam LED. 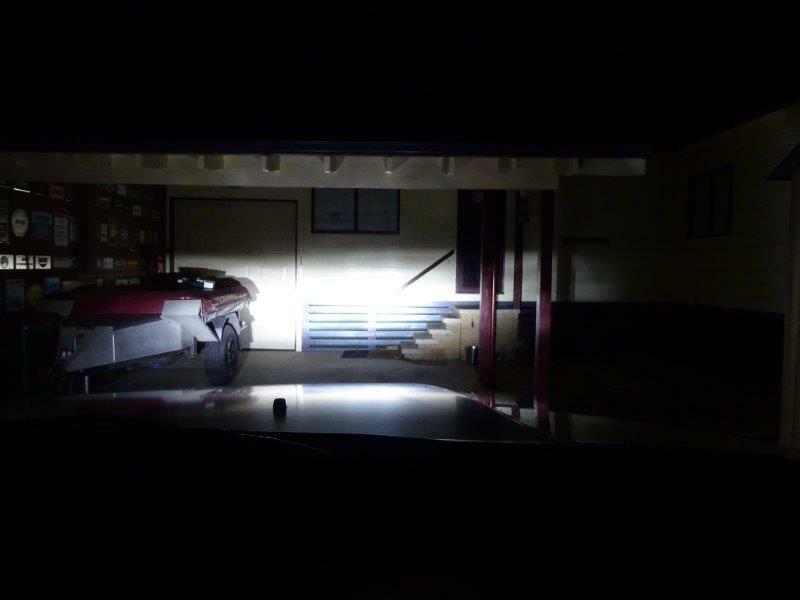 It does show up the stray light more that was also there with the halogen bulbs. Looks a lot worse in this photo than it really is though and the stray light is less than a cheap torch. 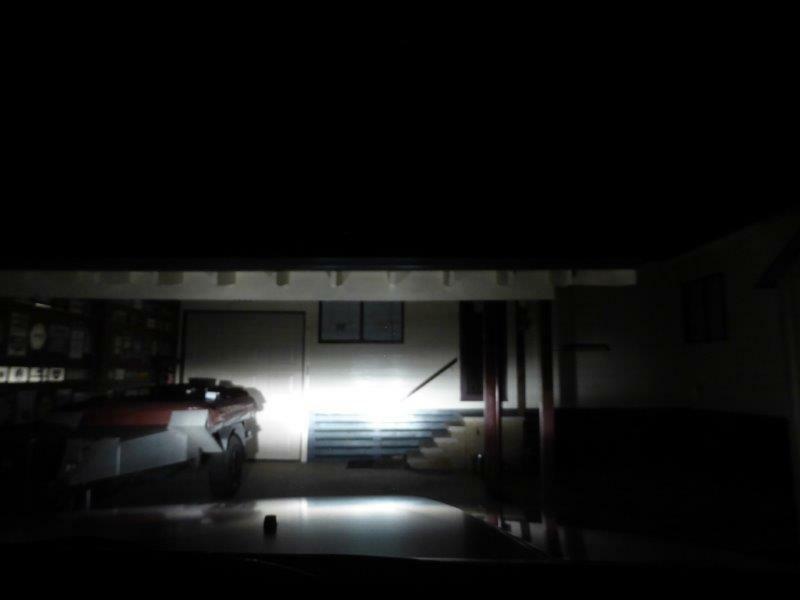 Low beam halogens. Notice the yellow shade. Have to apologise for the street photos as forgot to set the camera to glass through, so the focus is not good. It was nearly 1 am, so didn't feel like shooting them all again! 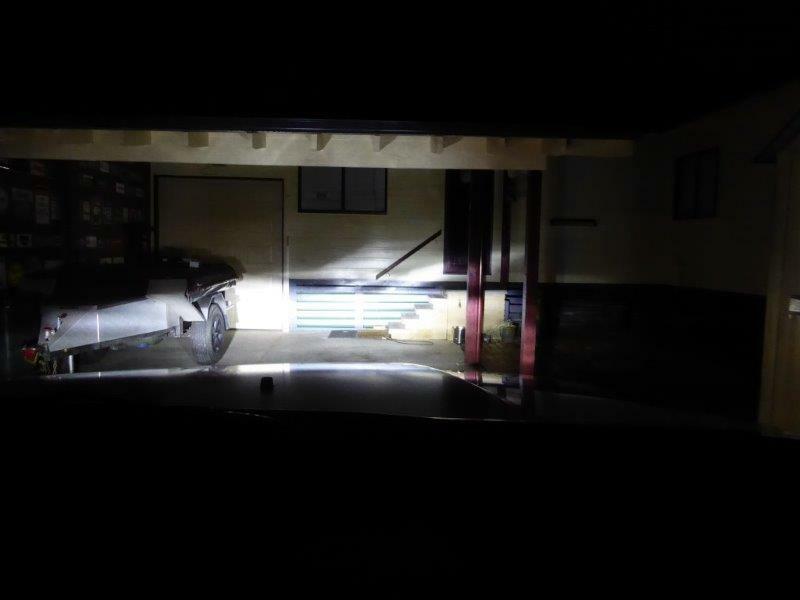 Low beam LED. Much whiter and brighter light. 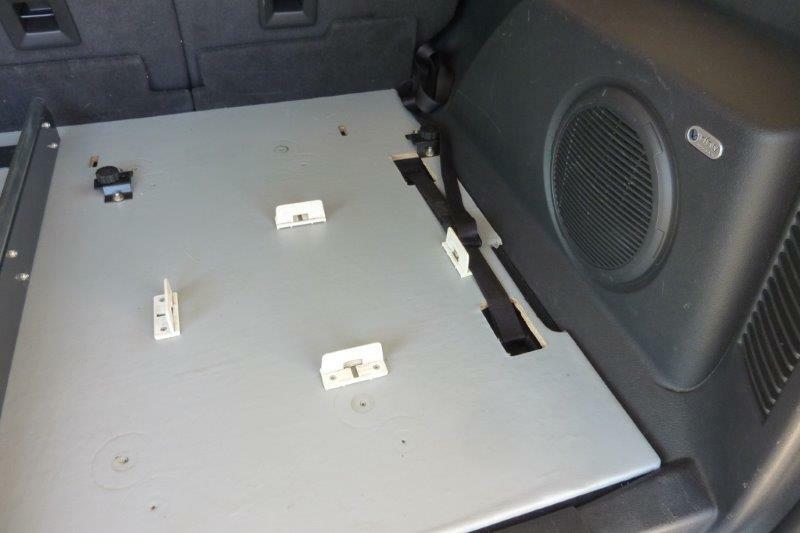 Mounted the old board from the XJ Cherokee to take my battery and fridge. I was surprised how much smaller the floor was as had to chop down both the width and length to fit. To keep the board down in place I have cut holes above the 4 tie down points in the board. Then I run a strap through them and over the board between them before pulling it down tight. This way the load is spread over a wide area to keep it secure on both sides. I had to install a fridge slide as you could barely open the fridge before the lid would hit the roof. 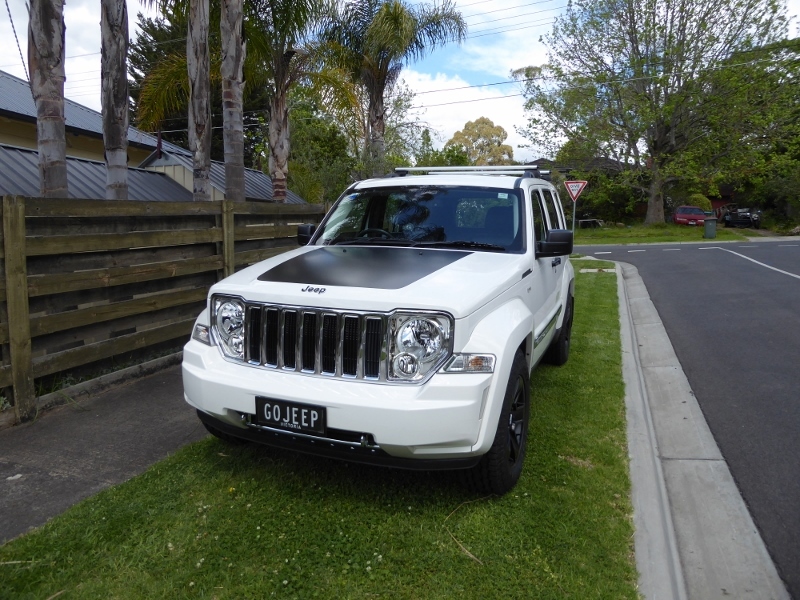 The floor height must be higher than the XJ so the spare tyre can live underneath. The slide was bolted through from underneath the board using mushroom headed bolts to stop them pulling through. 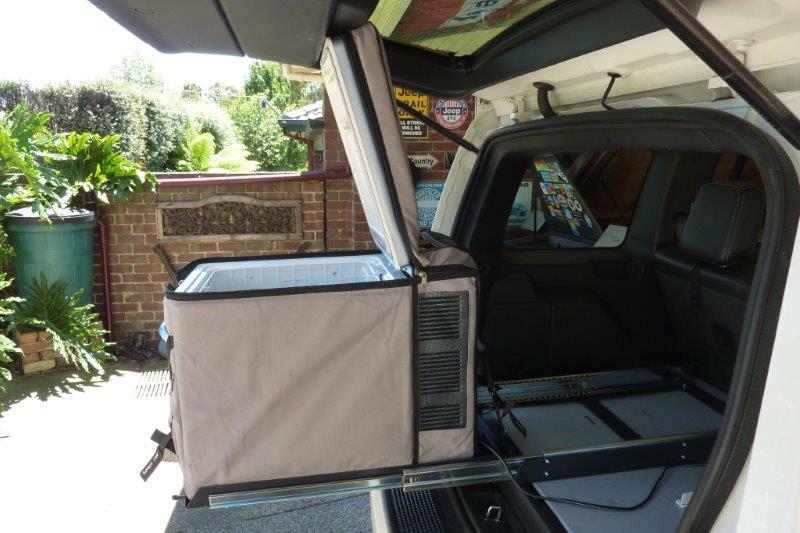 Having the slide does make it easier to lift the fridge in place too as well as get to things. I found if you lift the lid right up just before reaching the end, and then fully extend the slide, you have hands free access. 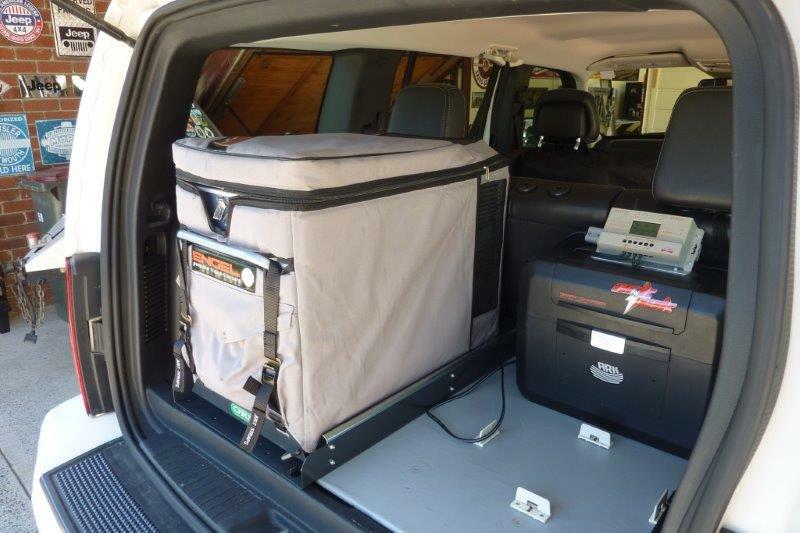 It is that tight fitting the fridge in that I had to turn the rear handle upside down to fit it all in between the tailgate and the seat back. 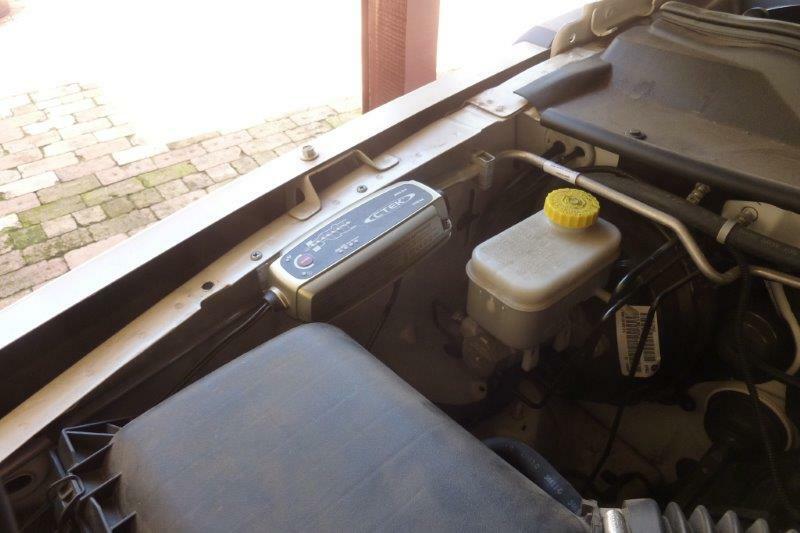 The fridge battery I have mounted here so I don't crowd the engine bay and carry the extra 20kg around the rest of the year! 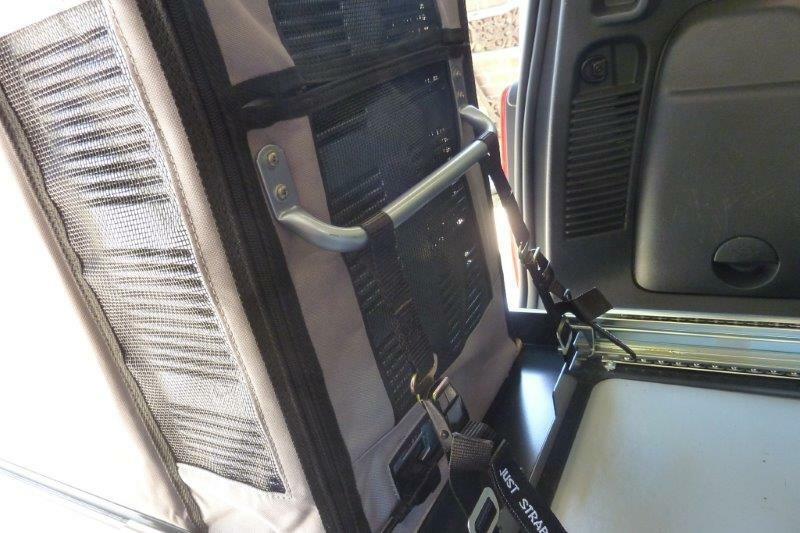 Everything is quickly removable without tools and without any modifications to the Jeep for mounting points etc. I have the battery isolator mounted here and has auto reset fuses before going to the fridge battery. Terminated with an Anderson plug at the solar regulator. Folded up a bracket to permanently mount the battery charger for when parked at home as it is not driven daily. 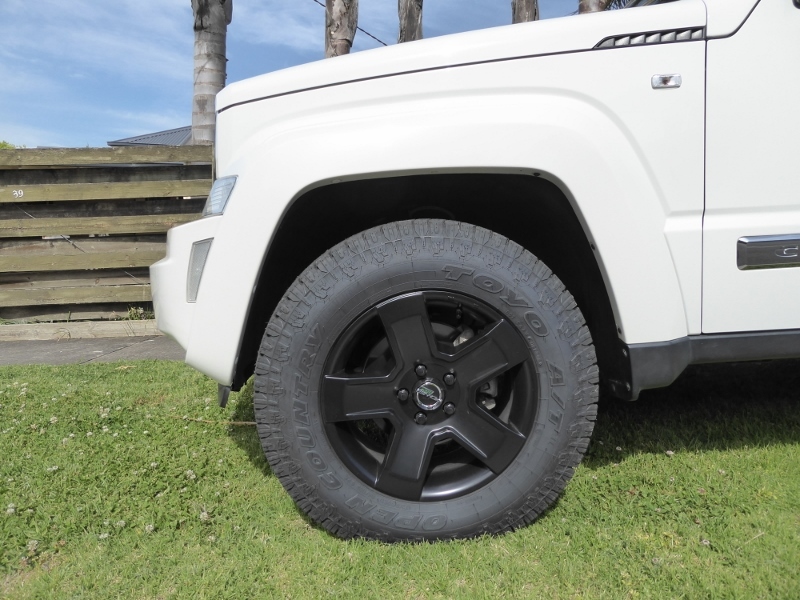 I have just had mine TIPM updated by the dealer for the largest tyre size they have listed that was on the JET edition with the 20" wheels and tyres, 245/50R20. That worked out at a 29.65" diameter which is 2% bigger than the rolling diameter I had with the 18" Limited wheels, 235/60R18 at 29". Speedo was already reading 3% fast so it is now spot on up to 100 kph but 1-2 kph slow at 110 for the 245/70R17 tyres which are 30.5". I did notice better response straight away and even turned down my throttle unit down one bar. He said there was a performance option that might be even better but he couldn't give me a tyre size or any more information about it but said it had to do with settings for performance type tyres and not the AT's tyres I have so didn't select it. 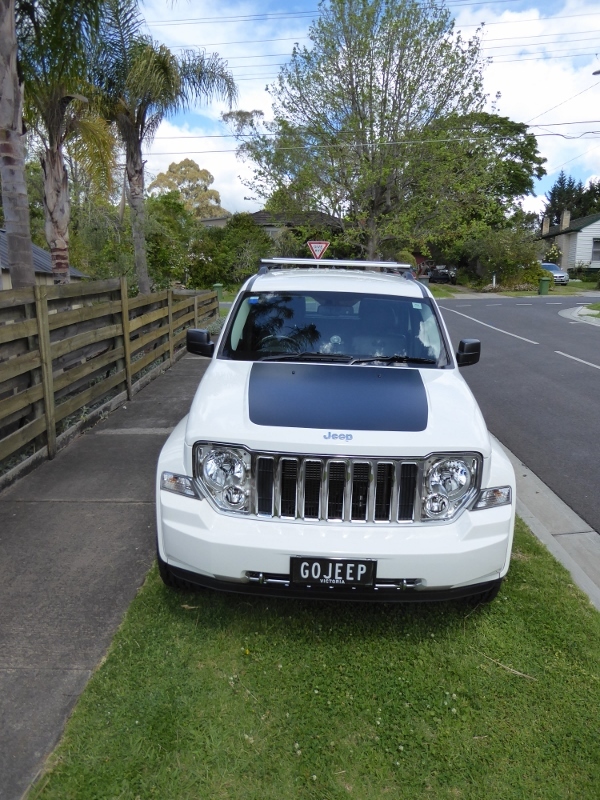 The Jeep is a bit breathless at higher revs, especially while towing in the hills. 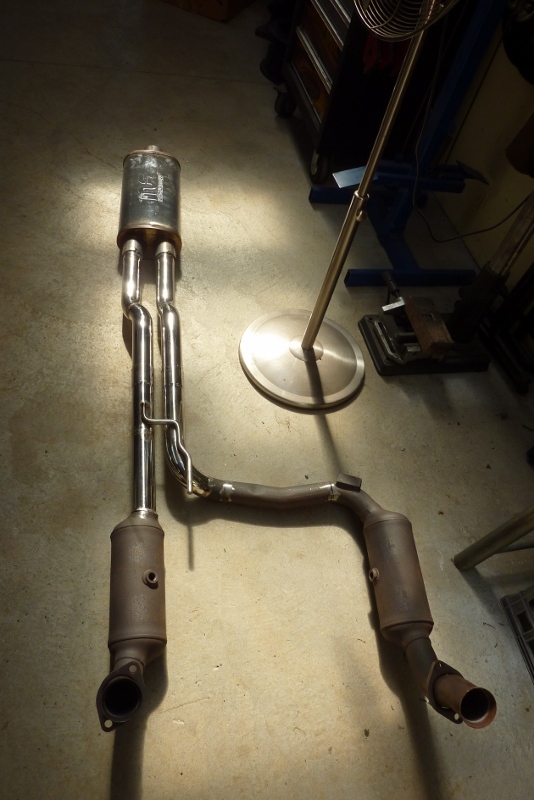 So going to upgrade the exhaust from the cats back using dual 2.25" tubes from the cats back and into the muffler. 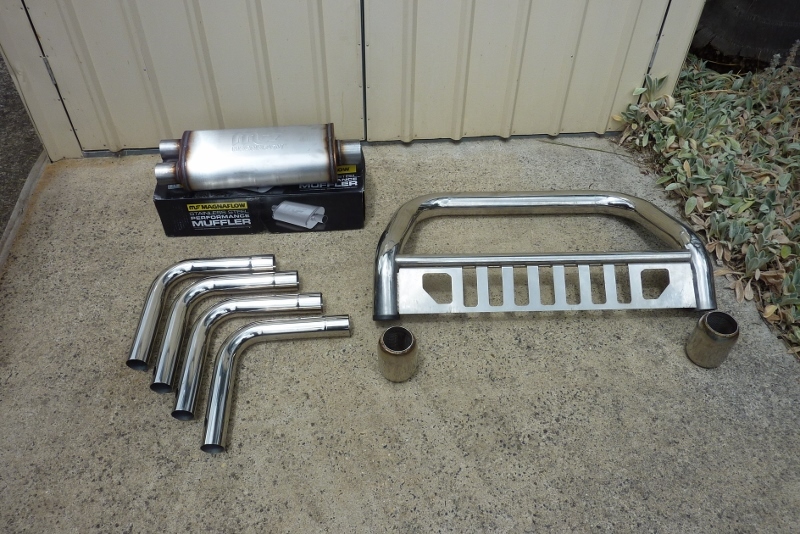 I'm using the Mopar nudge bar that came on it, to make the 3" stainless tail pipe along with left over resonators from the 5.7 HEMI system on the Willys. The hard part is going to be getting two 2.25" tubes through the gap after the merge next to the gearbox mount. 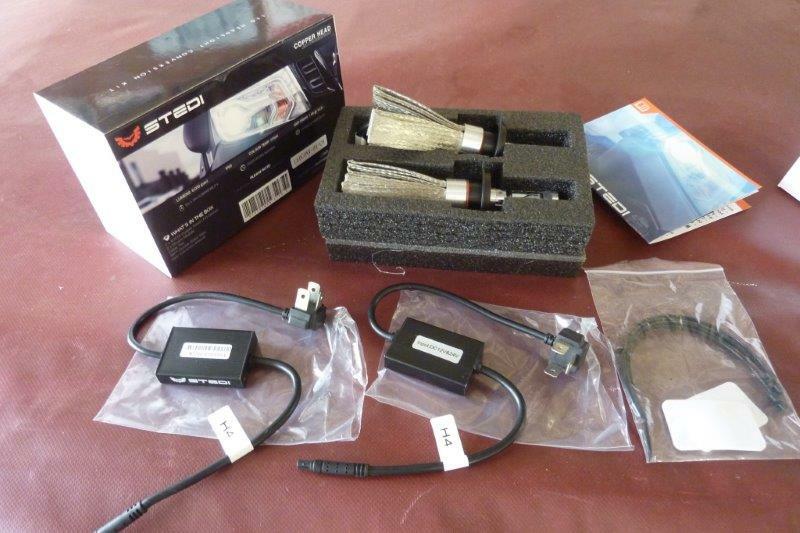 This is the stock complete system. 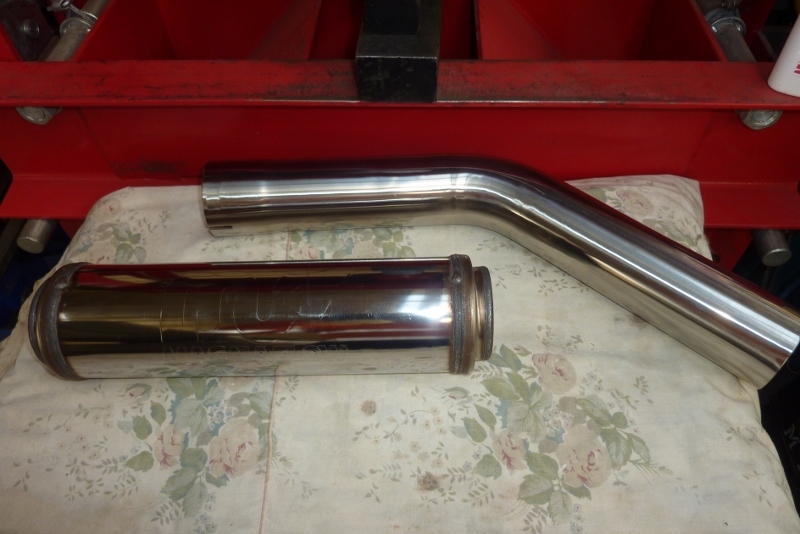 The down pipes and out of the cats is dual 2.25" tubes. Then they merge in a short distance into only 2.5" the rest of the way. 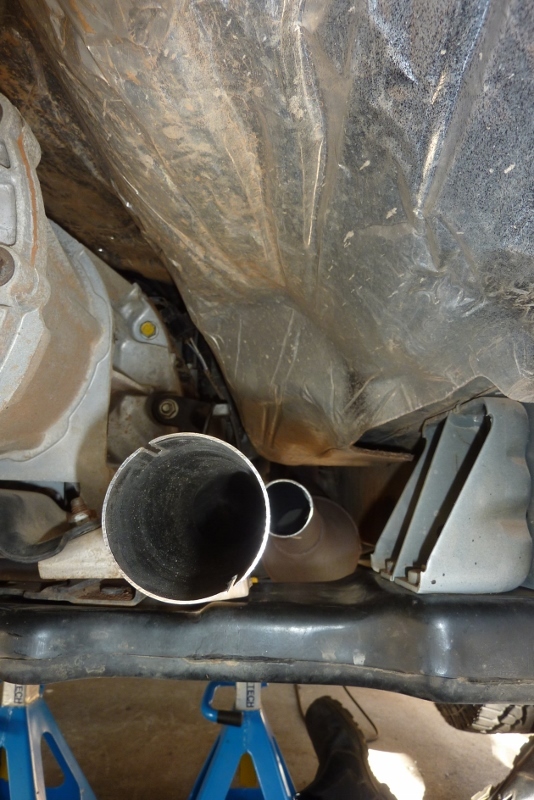 That is 38% smaller tube before the exhaust volume has had time to shrink after being heated by the engine and the cats! 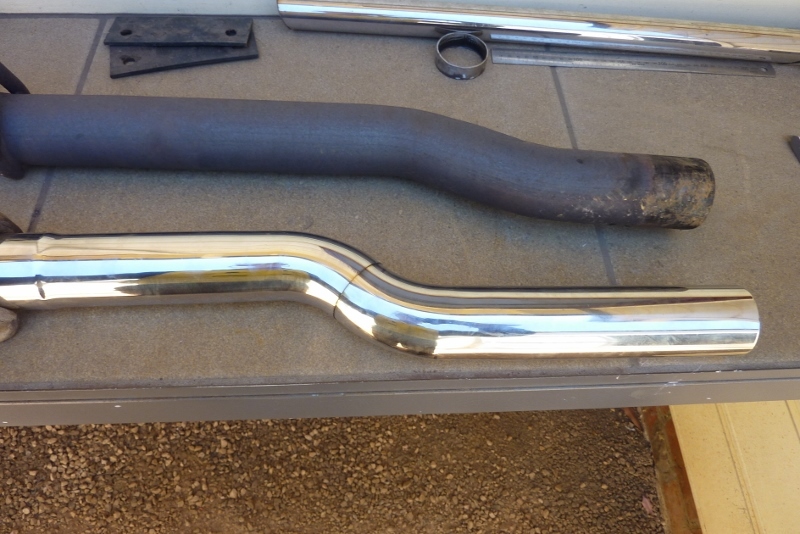 I cut the stock muffler in half to show how restrictive it is. I show a cutaway of one to show how they work. 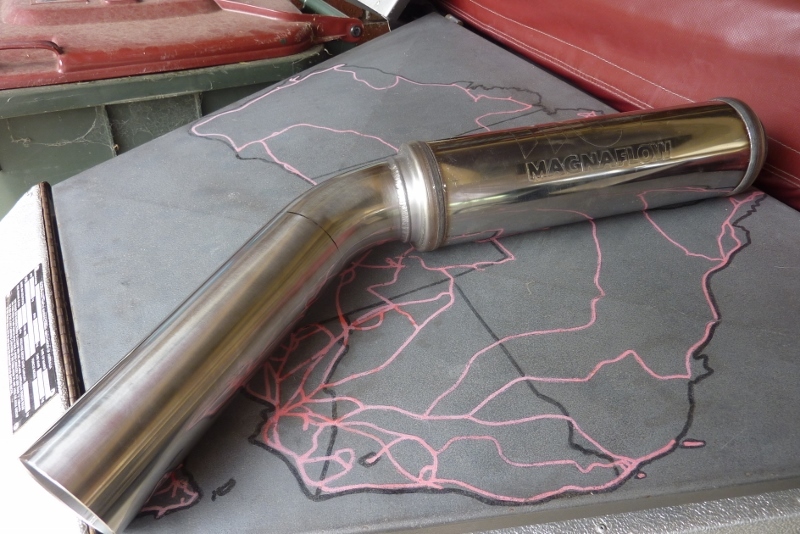 The resonator on the other hand is not a restriction at all, apart from the factory tube size, as it is just a straight through design with acoustic material. 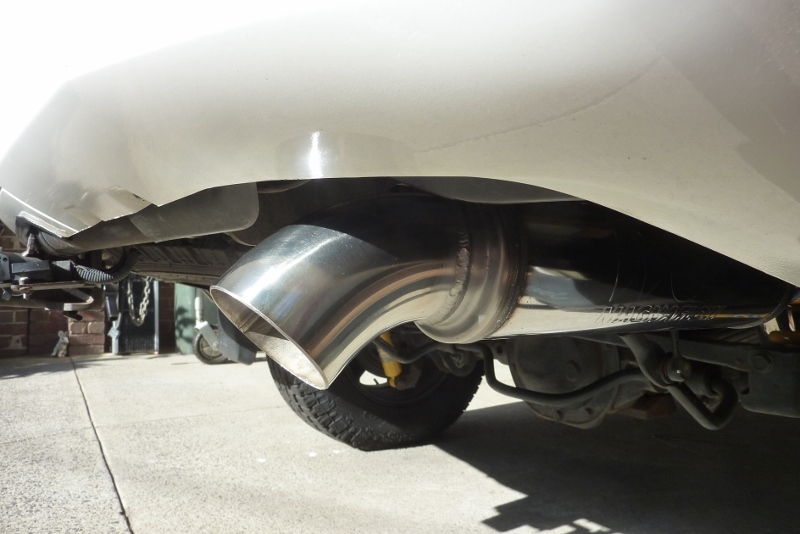 Cutting it off the end of the stock exhaust will give you no performance gain at all. 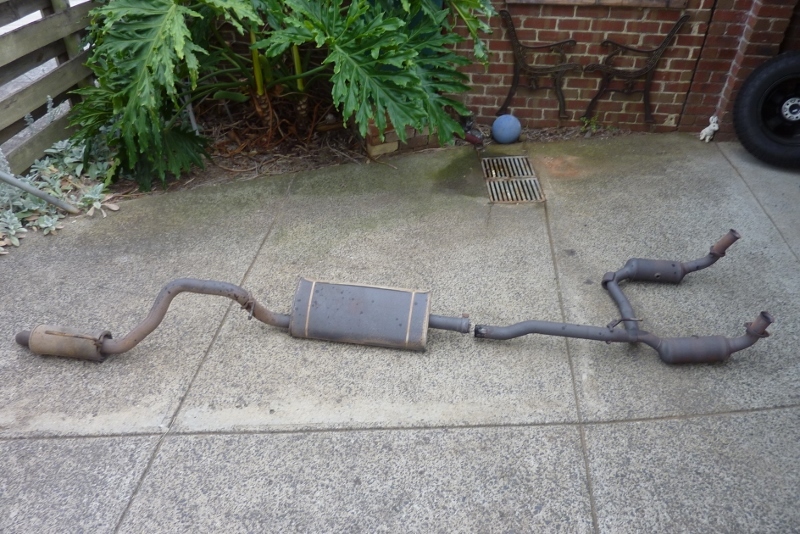 This is the same as the stock muffler and the exhaust enters on the left in the middle and slams into the other end of the muffler. 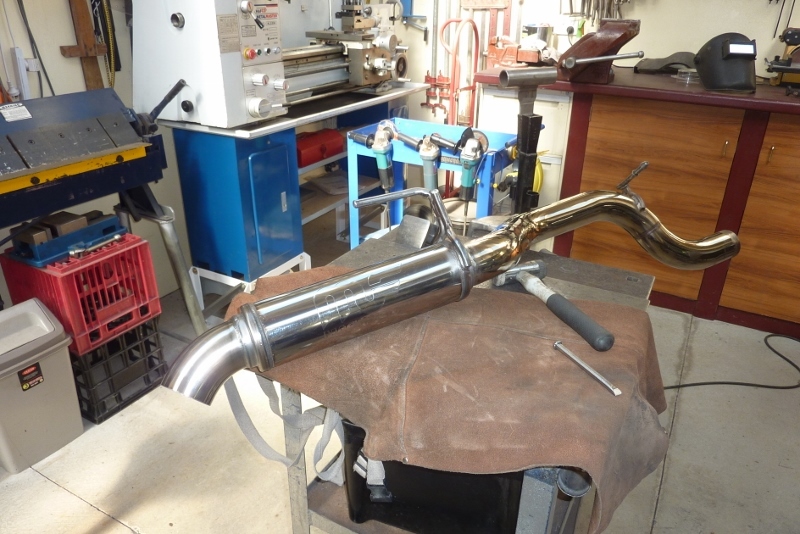 Then has to find its way up the left side of the muffler before hitting the next chamber. Then eventually across to the right hand side and out! I'm replacing this with a straight through design like the resonator. 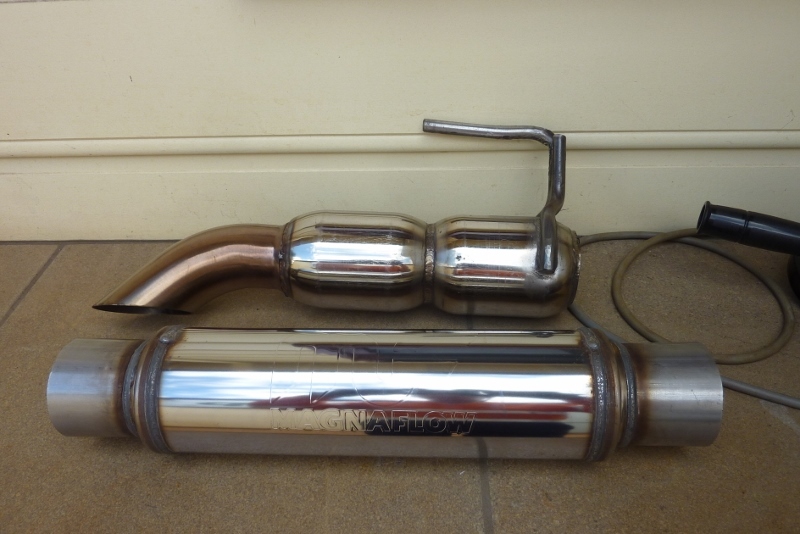 Magnaflow 12288 that actually has dual 2.5" inlets and a 3" outlet. 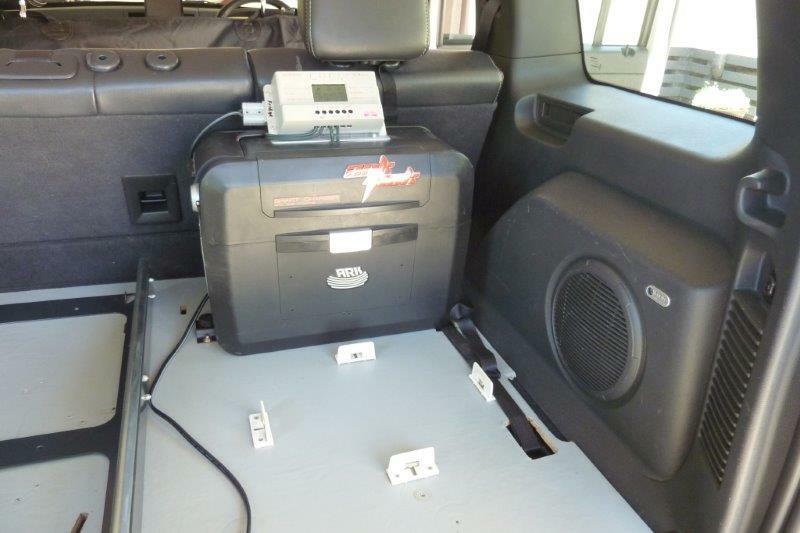 They are normally used on Ford, Chevy and Dodge V8 pickup trucks. 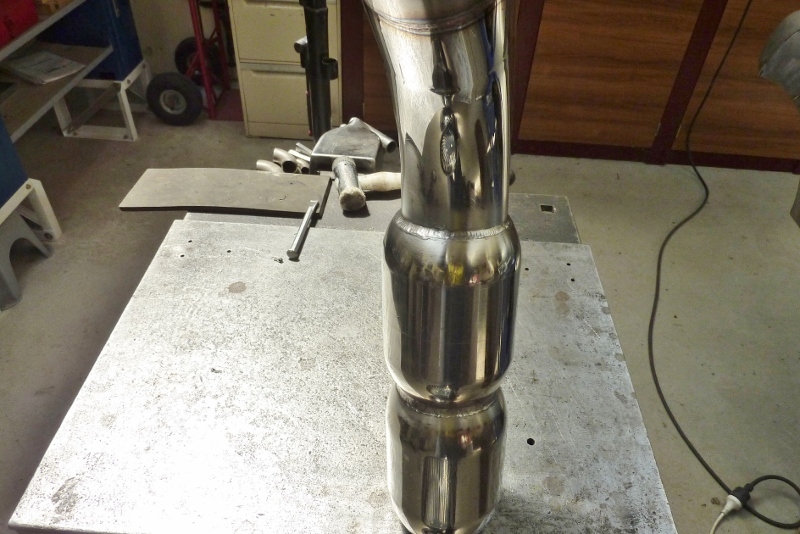 The merge of the two tubes will be inside the muffler of my two 2.25" tubes into one 3" outlet. 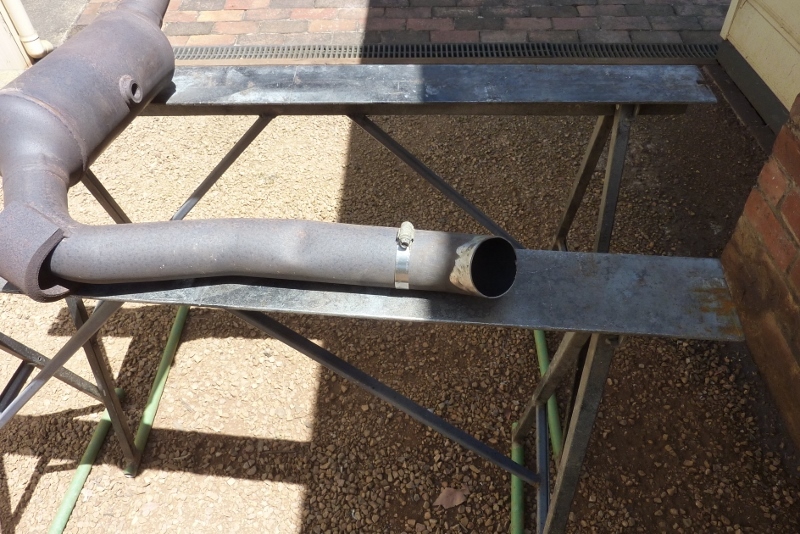 That is only 11% smaller but the exhaust has had time to cool and lose volume over the longer distance. 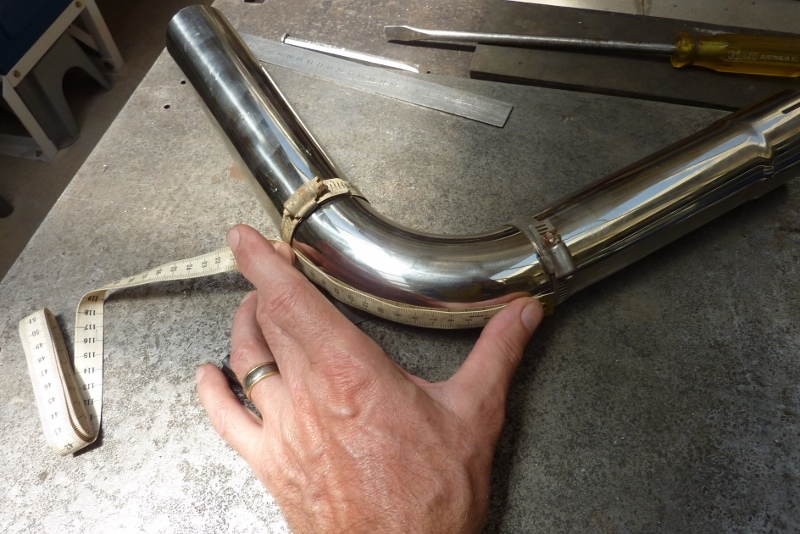 To mark smaller tubes for cutting I just use a hose clamp to scribe around and then take it off before cutting. 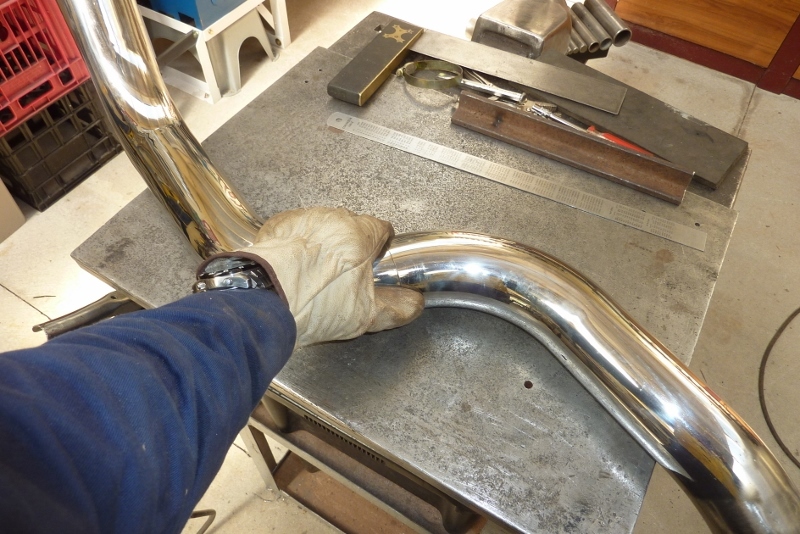 I am shortening this tube and rotating the bend to where I want it before welding it back together again. I also had to cut the first bend out of the cat on the back of it part of the way so I could reduce the bend to get it where I wanted. I have got the tube now over the crossmember leaving as much space as I could for the other tube. 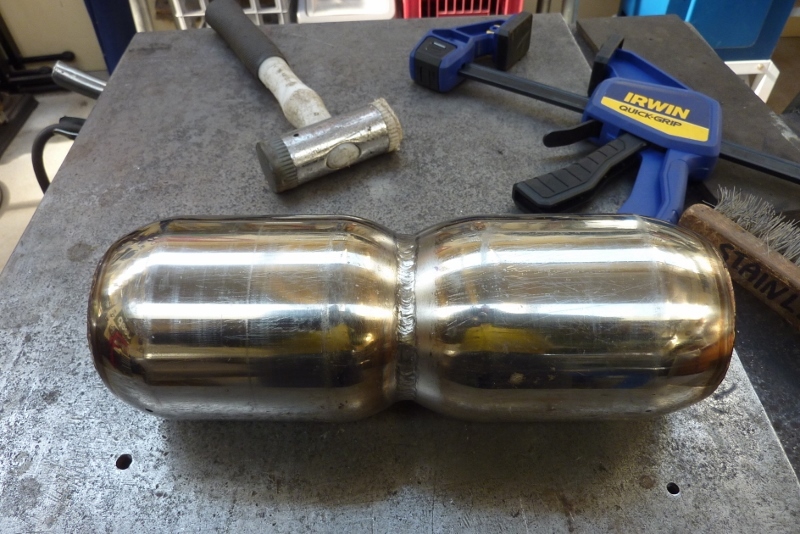 The right side tube will need to move over more to fit through the space left. I cut the tubes out of the end of the cat and am moving the flare over in the direction I need as much as possible. Made this little tool from solid rod. My old farriers anvil still gets used. Just flaring the end on part of the tube so it matches up with the hole shape left in the cat. I want to cut this 90* bend exactly in half to get two 45* ones. Put the hose clamps at the start of the bend and measured the distance between them inside and out. Then slid the clamps as close as I could to the centre and marked up between them. Just cut it with a 5" thin cutoff wheel. They matched up without alteration. 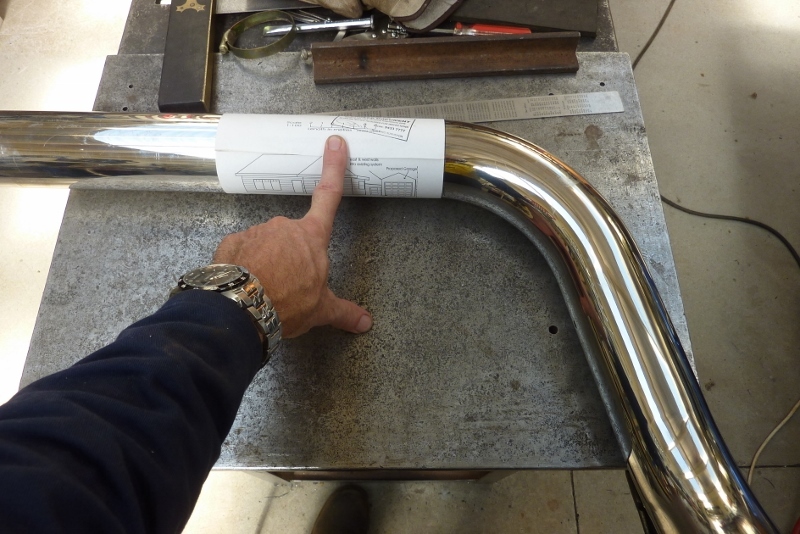 If you cut a 90* bend in half and put them together like this, you will get a drop of the tubes diameter. 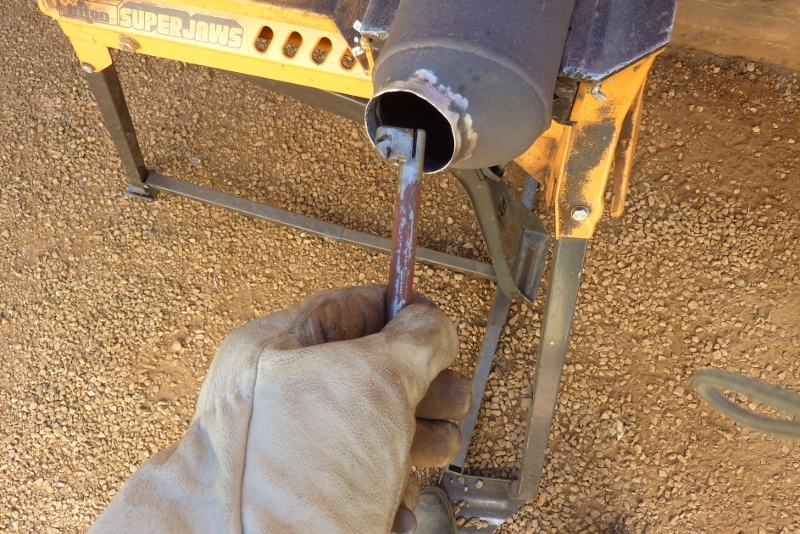 Cutting a 45* bend in half and doing the same, will give you a drop of half the tubes diameter. 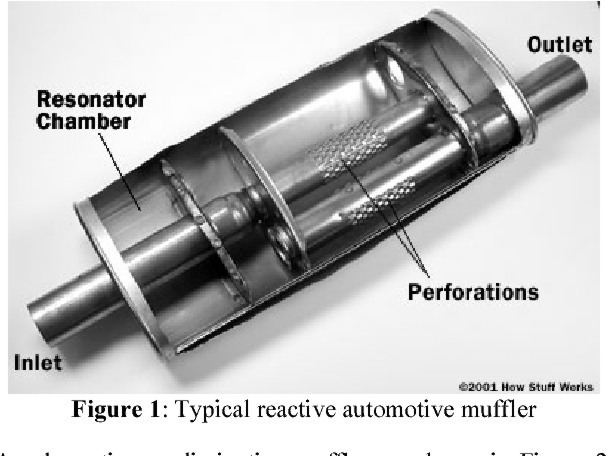 Like the factory one above, I needed to drop both my tubes from the crossmember down to the inlet of the muffler. 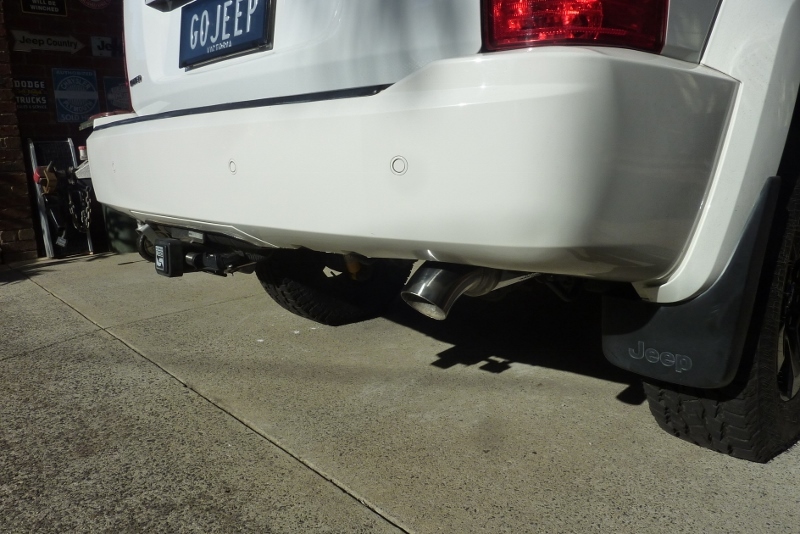 The drop also had to go over to meet the bigger offset on the dual inlets of the muffler. 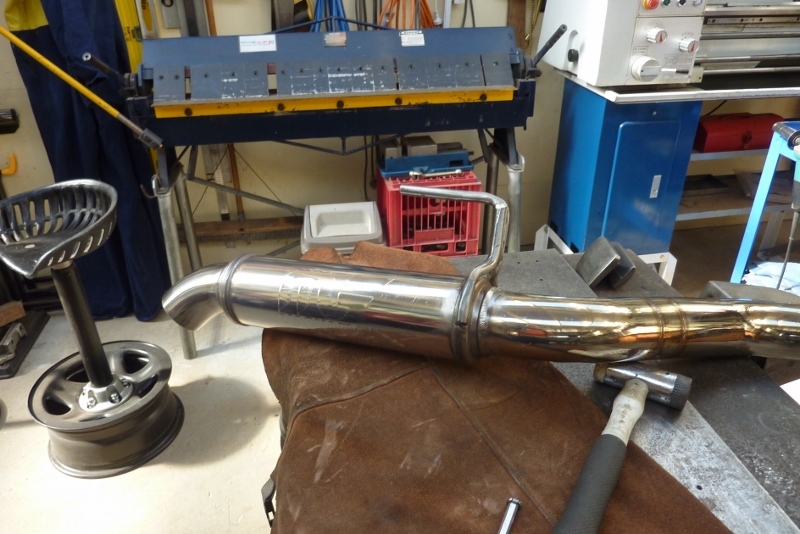 So here is the system so far until the end of the muffler tack up ready to weld. 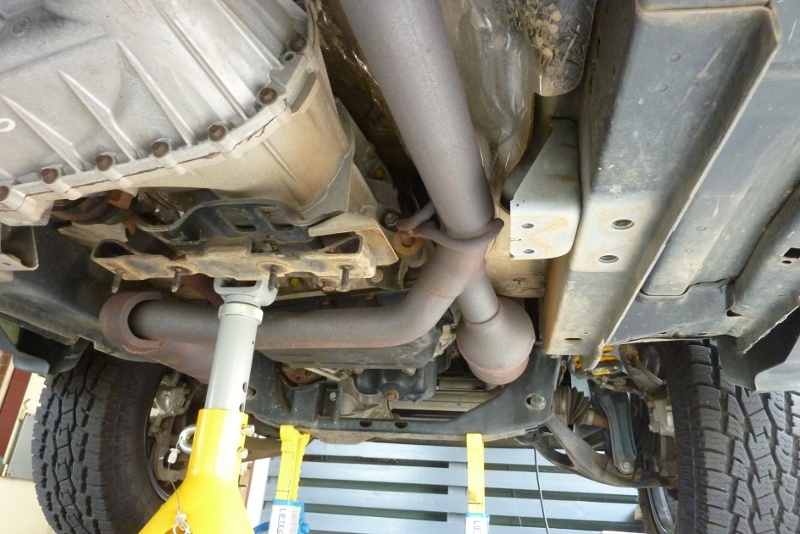 You can see the exhaust hanger I made as well to support both tubes and it fits into the factory support housing. 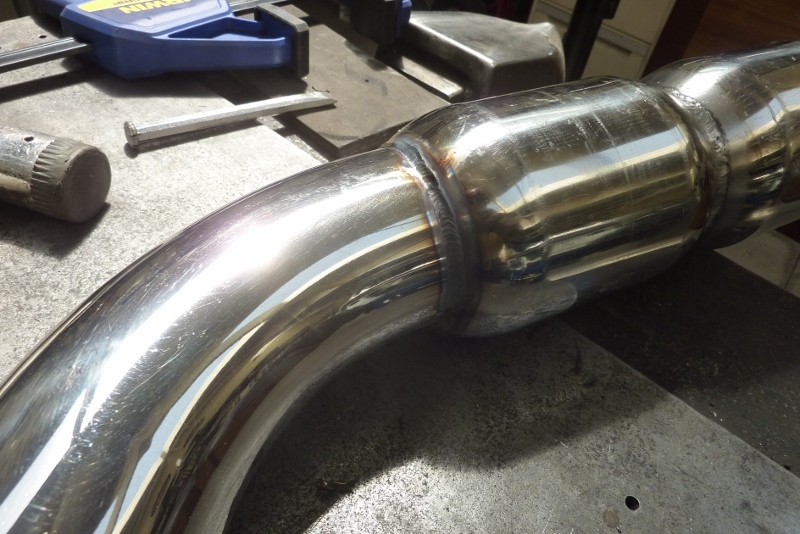 Because I had to step up my 2.25" tube into the 2.5" inlets, I slide some 2.5" tube inside the inlets a bit longer than them so I could weld all the tubes in one pass. I'm just MIG welding it with 316 stainless wire. I have only cut everything away from the nudge bar tube. Hoping I can use a couple of bends in a row to save time. Might be lucky! To mark bigger tube to cut, wrap some A4 paper around it. Make sure the overlap all lines up so you know it is square. Can see the join fits well after cutting. Using some hose clamps to see how it fits so I can easily rotate or shorten parts if needed. 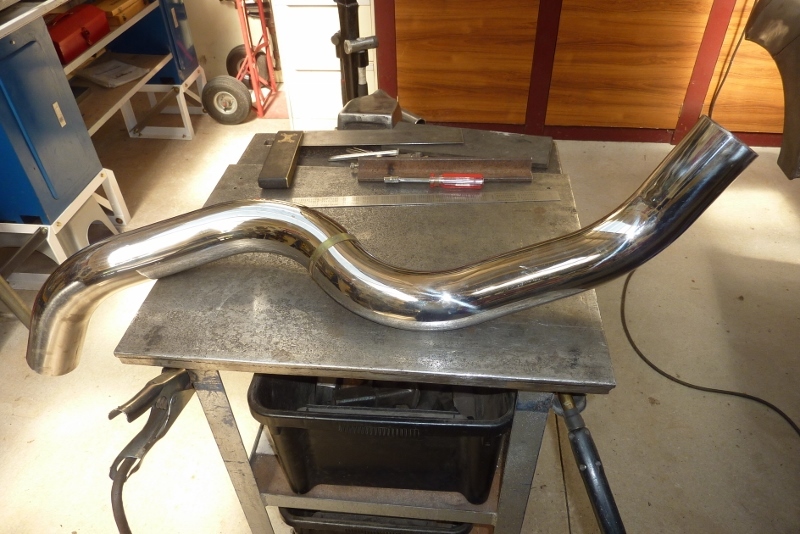 Getting close but will need to add some between the last bends on the right as my muffler has a centre outlet. I haven't welded stainless before with a TIG and the MIG was playing up so thought I might as well give it a go. 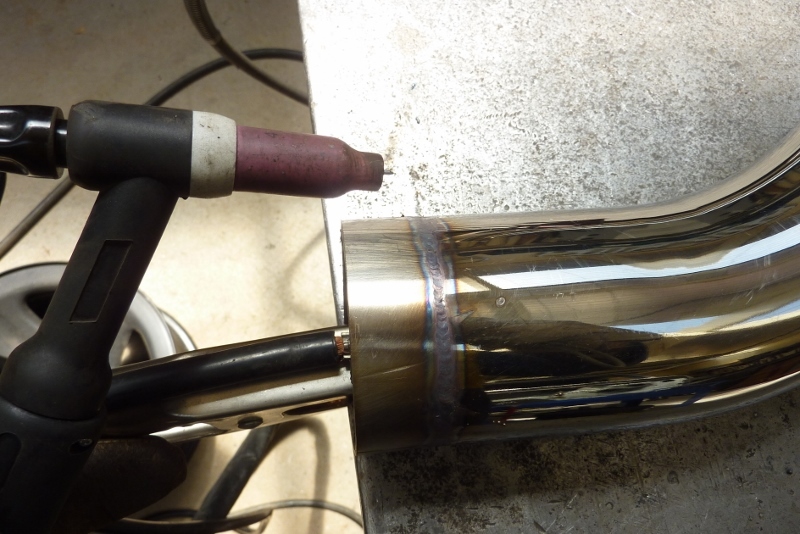 Secret to TIG welding thin material is to match the tungsten diameter to the thickness of the metal. Far more heat control over a smaller area, so less chance of blowing holes through it and and less distortion as well. 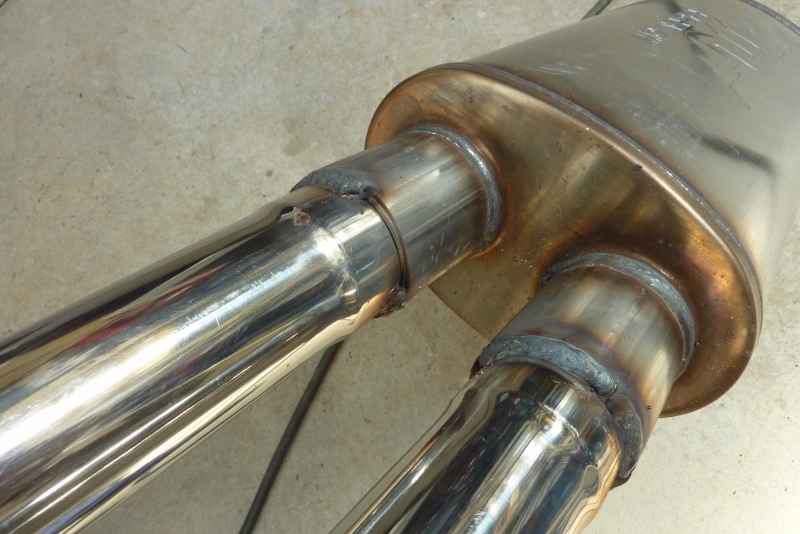 This is fuse welding only with no filler wire added at all. Nice small heat affected zone from using the small tungsten. I had already MIG welded these together but wanted to improve the appearance to match the rest, so washed over the weld with the TIG. 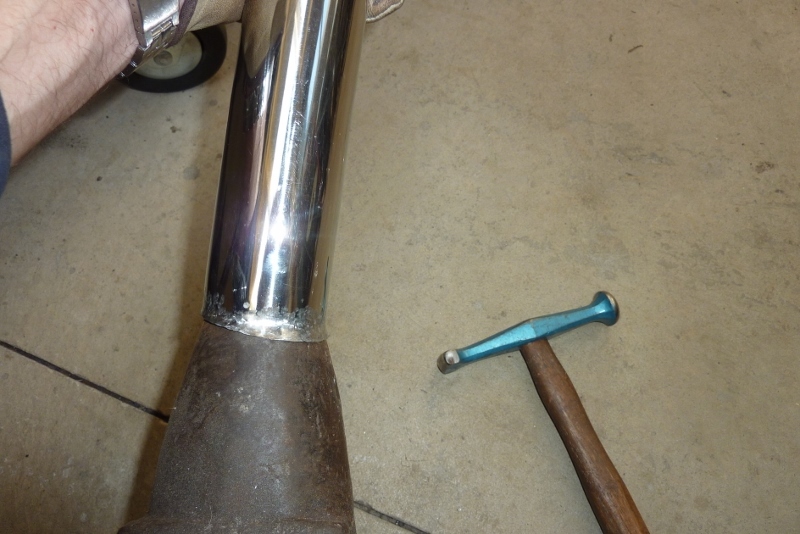 Melted the original resonator TIG weld into the tubing. Used a stainless steel wire brush to clean it up some. Never use a steel one as will leave deposits that will rust later. I'm not sure how well these cheap resonators will work due to the lack of acoustic packing being only an inch bigger overall in diameter. Worth a shot anyway. 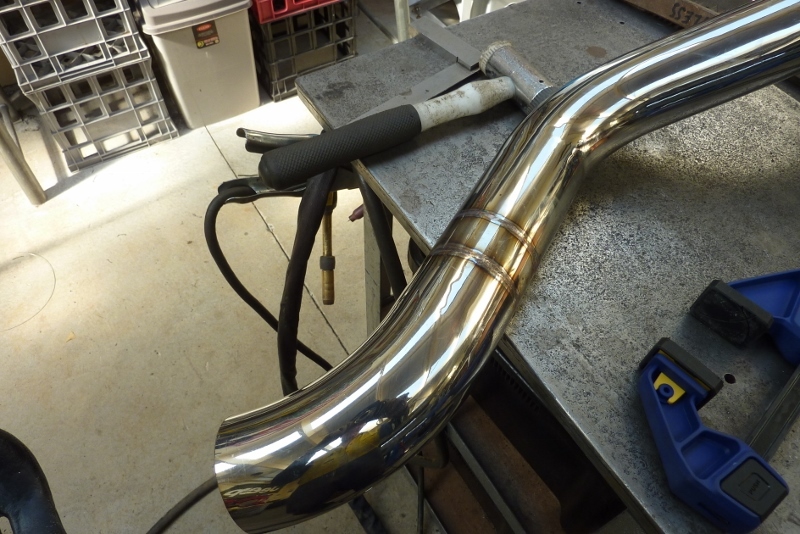 Just showing how I made the turn down tip from the 2.75" stainless exhaust tubing that was stock on my HEMI WH Grand Cherokee parts donor for my Willys Truck. 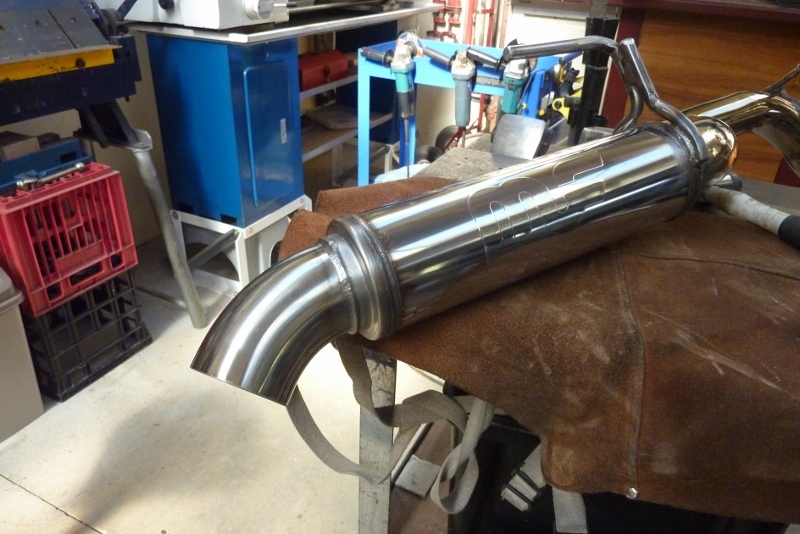 It was the only bend I was short to make the whole tailpipe but it was lost when sent with the other bends during freight, and now the replacement has been lost too! 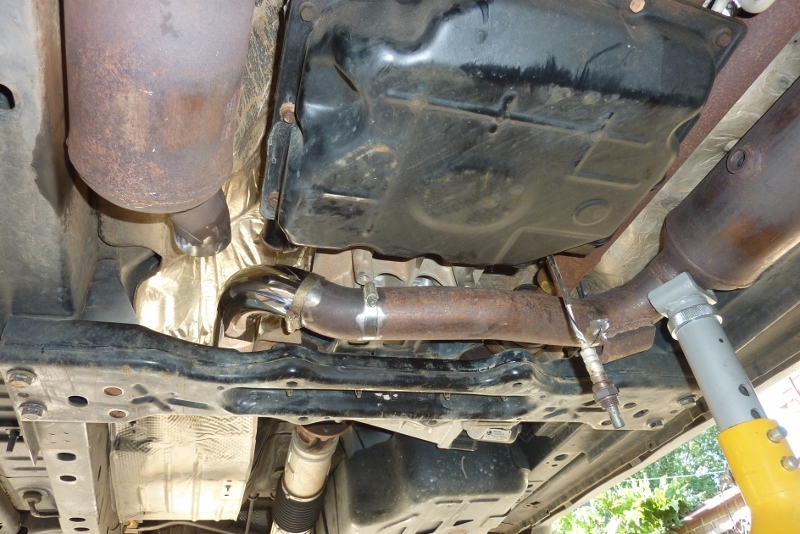 So the best I could do to get the Jeep back on the road was to flare the end of it to match the 3" outlet of the resonator using the hammer and anvil. It is just tacked on there as I will replace it if I ever get my order! 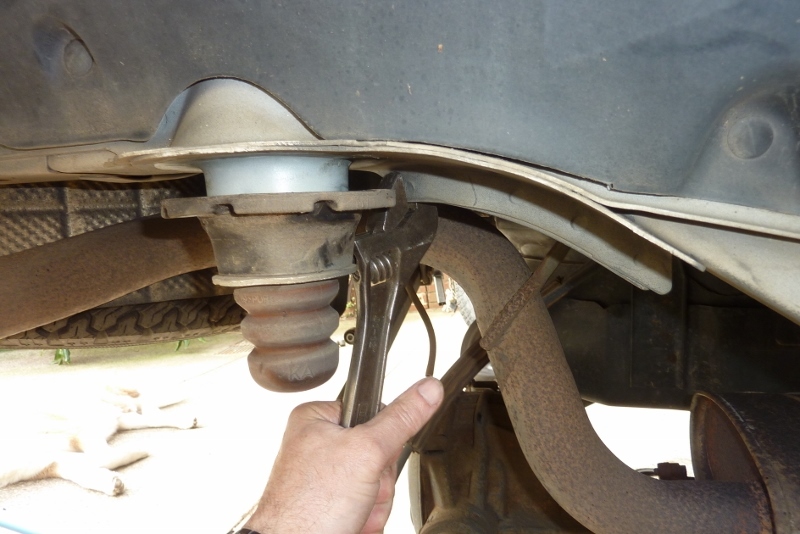 So it comes out of the muffler and up above the rear axle before turning and threading between the swaybar link and the shock absorber. Managed to get through there with one less bend than the factory. I used a stainless band clamp to hold it in place so it is easier to remove the system should I ever need too. 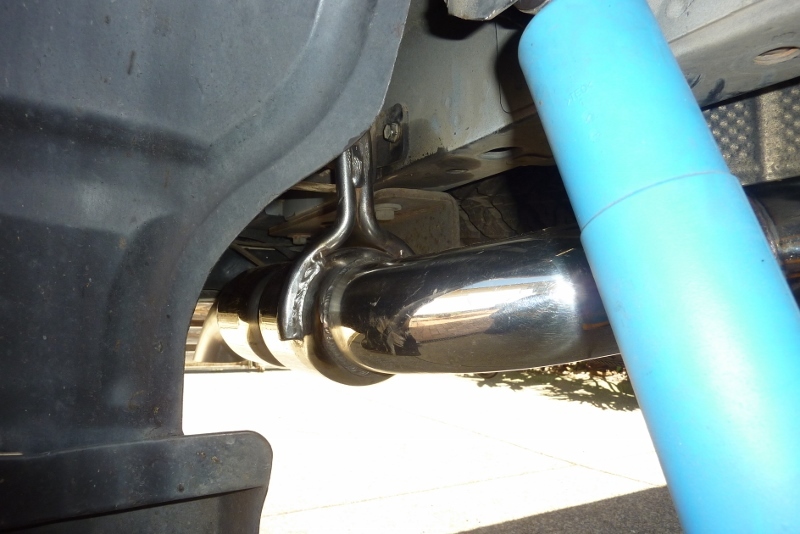 I modified the factory exhaust hanger to hold the resonators up. The mid one I also used the factory hanger mount and modified to suit. Can see I have plenty of clearance to the shock absorber as that is more critical to keep heat away from than the swaybar link. I have put together a few clips during the construction to show the differences in sound. 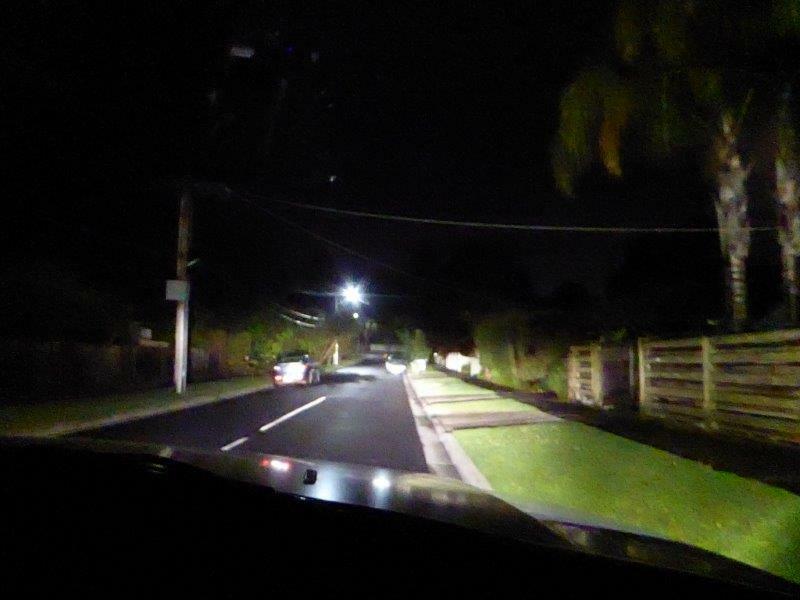 The road segment at the end is quieter than reality as the camera doesn't pick up sound over distance very well. Last edited by Gojeep on Wed Feb 06, 2019 7:14 pm, edited 1 time in total. It's always fun, going through pictures and finding my head all twisted up like an owl before remembering they are of a RHD vehicle. 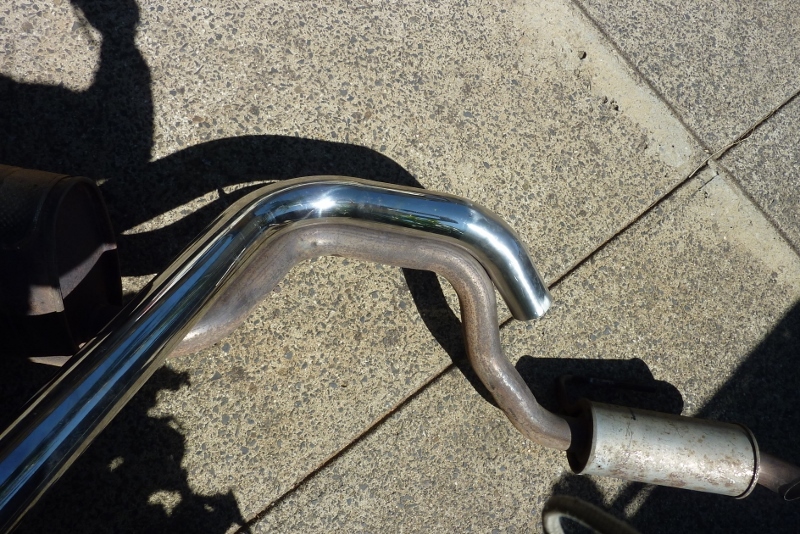 I salute your metalworking skills, and it appears you remembered or knew to flush gas inside the stainless pipe in addition to the TIG cup. Beautiful workmanship. Thank you. I should really do passivation on the welds. 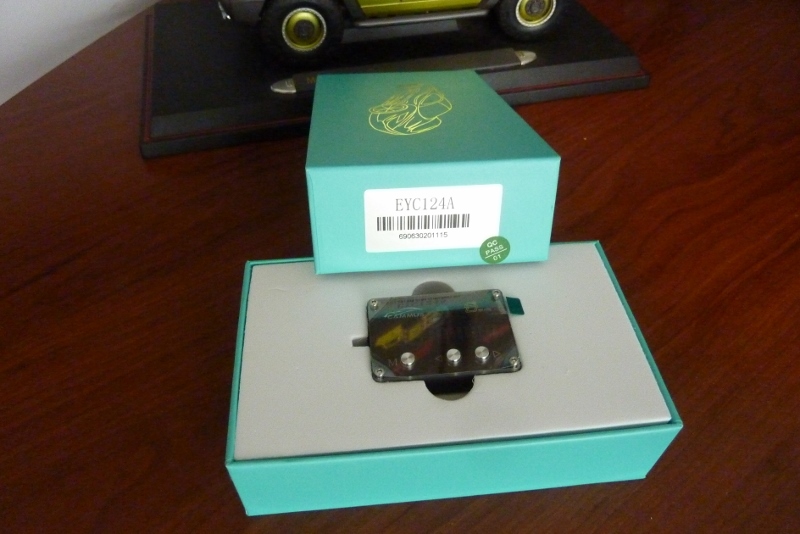 The better resonator came in but I ended up ordering the wrong one somehow! 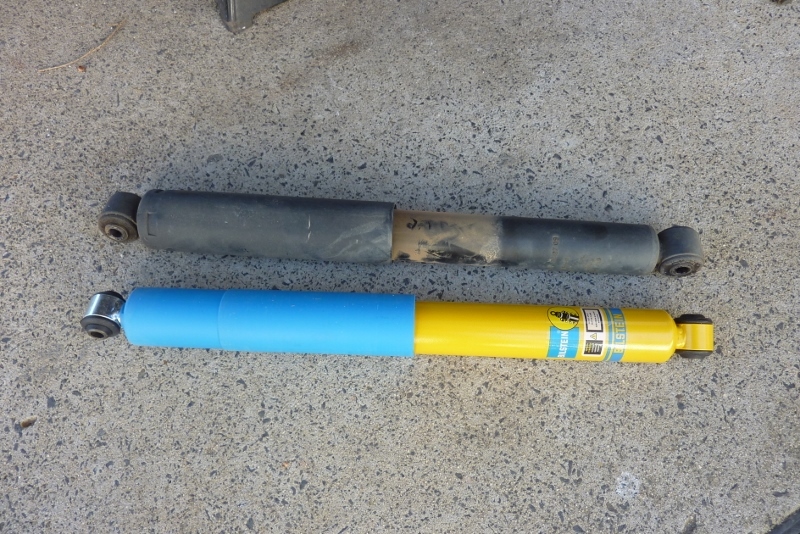 I was after the 5" round and got the 4" round, so hope it will still workout alright. 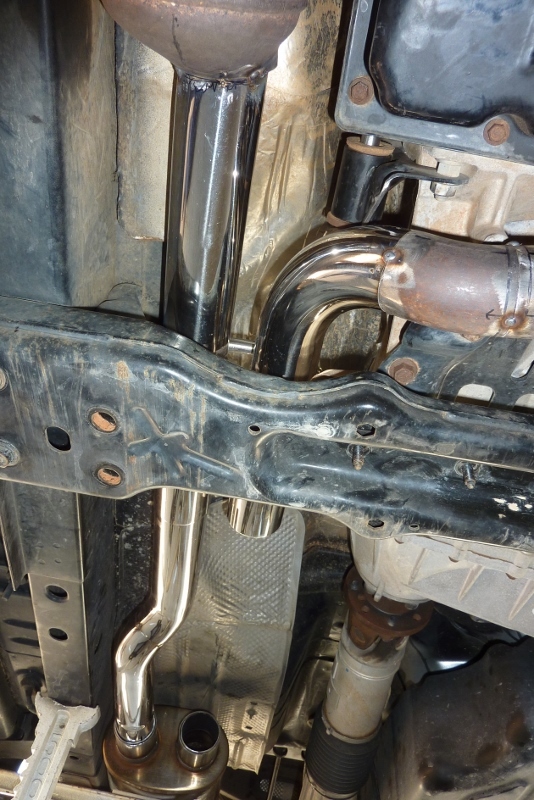 As you could see from the last photo is is a lot longer so going to be a tight squeeze to fit in between the last bend past the shock absorber and the bumper. So cut the length down as much as I could. 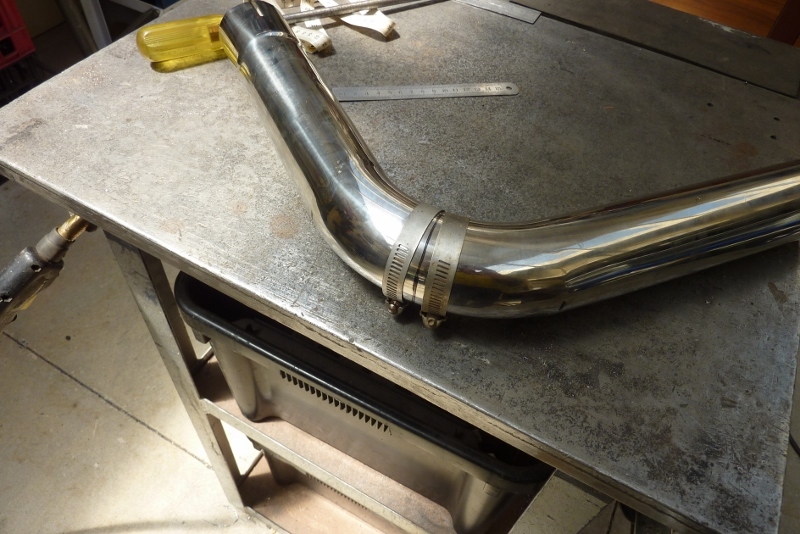 The 3" 45 degree bend finally came in too to make the exhaust tip from. 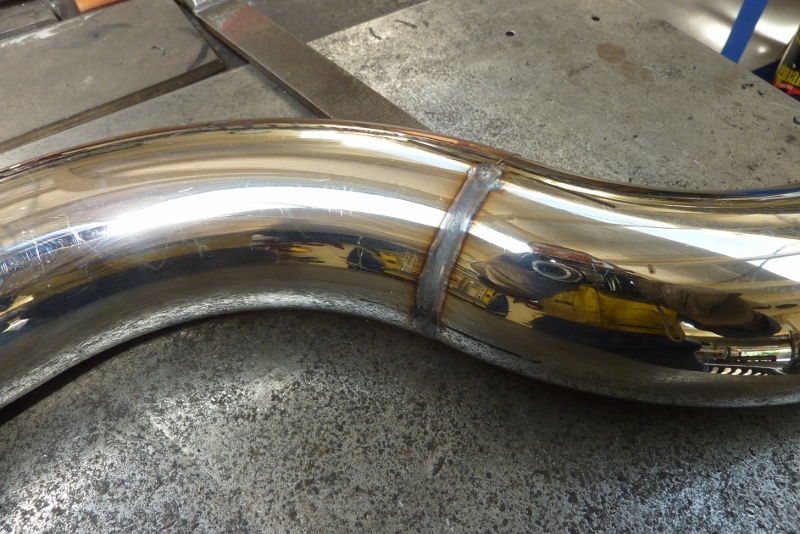 TIG welded the 45 degree bend on. Think it is a touch long! The length makes it easier to line everything up and also decide the final length. 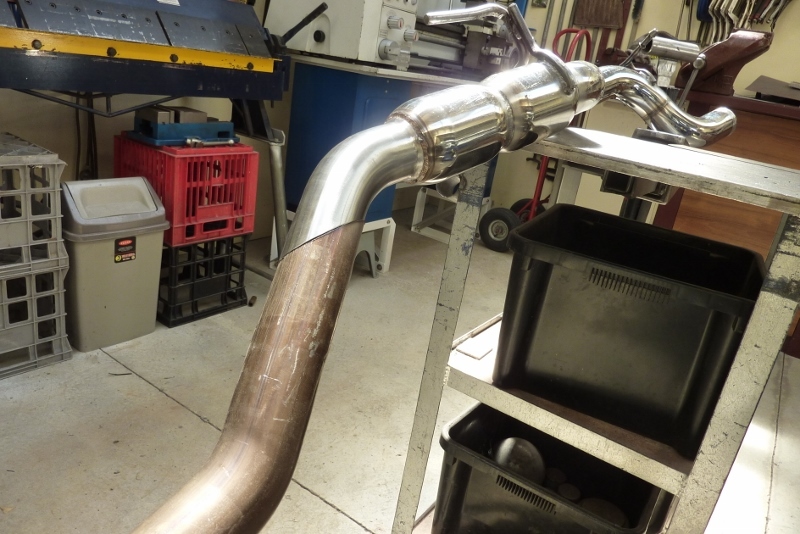 Can see the stainless has already started to change colour from the exhaust heat compared to the new muffler and tip. 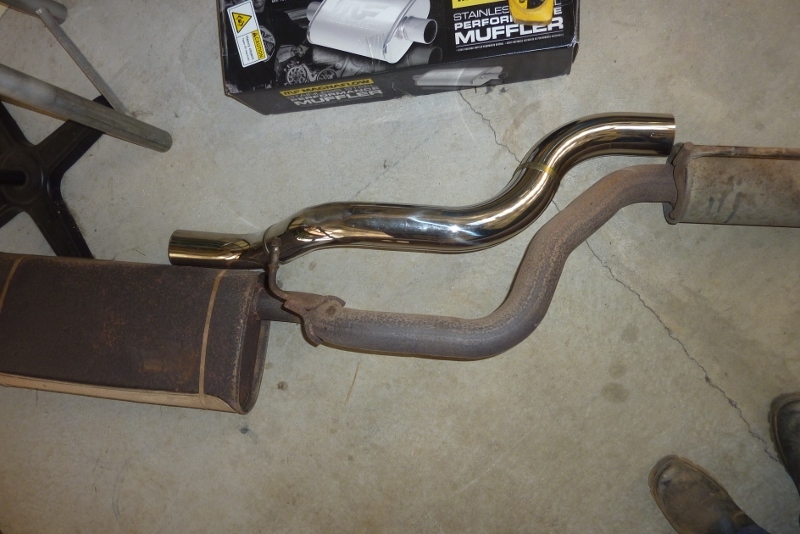 Hanger was cut off and welded onto the new muffler. I prefer the bend cut this way rather than the full droop version I had on before. Didn't want the 'Japanese vehicle' look so think this is nice a subtle. Short clip with the new muffler added. Last edited by Gojeep on Tue Feb 12, 2019 6:09 pm, edited 1 time in total.